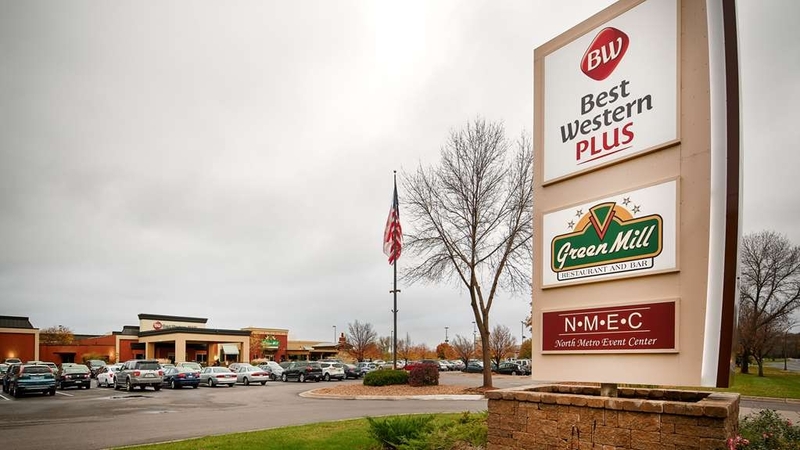 El Best Western Plus St. Paul North/Shoreview se encuentra en el centro de Shoreview. Venga y disfrute de las mejores atracciónes turísticas cerca de nuestro hotel. Precios bajos garantizados y ofertas exclusivas. 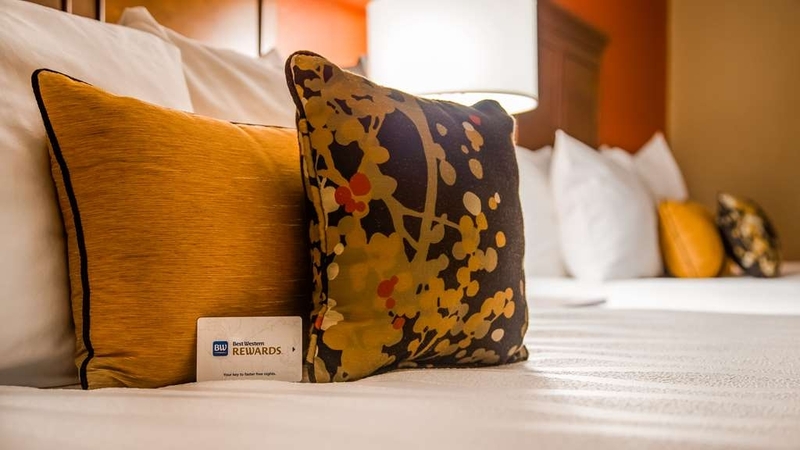 Bienvenido al hotel Best Western Plus® St. Paul North/Shoreview. Disfrute de una fantástica ubicación en Shoreview a solo unos minutos de las "ciudades gemelas" de Minneapolis y St. Paul. Tanto si se encuentra de viaje en la zona para asistir a una reunión en Boston Scientific, Land O'Lakes®, Country Financial® o Deluxe Corporation, así como para visitar la Universidad Bethel o la Universidad de Minnesota, la ubicación es un factor de gran importancia y nuestro hotel de Shoreview se encuentra a solo unos minutos de todas estas empresas. Los huéspedes que se alojen en este hotel de Shoreview también estarán situados a poca distancia en auto de numerosas atracciones, como el National Sports Center®, el centro comercial Mall of America®, el Museo de la Ciencia de Minnesota y el recinto ferial estatal de Minnesota. Descubra las magníficas tiendas del centro comercial Rosedale Shopping Center, situado a solo 6,5 kilómetros de distancia o asista a un partido de la NHL en el Xcel Energy Center®, un partido de los MN Twins en Target® Field o un partido de fútbol americano en el nuevo U. S. Bank Stadium. Nuestro hotel está situado a solo 14 kilómetros del National Sports Center® en Blaine, ofreciendo unas cómodas y confortables habitaciones para equipos deportivos que visiten este estadio. Aquí podrá disfrutar de servicio de transporte gratuito, de lunes a viernes, a la gran cantidad de empresas, tiendas y restaurantes situados en un radio de 5 kilómetros del hotel. Nuestro hotel ofrece una amplia gama de servicios e instalaciones para el trabajo y la relajación, entre los que se incluyen acceso gratuito a Internet de alta velocidad en todas las habitaciones, servicio de habitaciones, una amplia cama de matrimonio extragrande, un centro deportivo y una piscina cubierta. Disfrute de nuestro desayuno caliente completo gratuito servido todas las mañanas. Nuestro restaurante Green Mill sirve suculentos platos para almuerzos y cenas en su comedor o en la comodidad de su propia habitación. Con una excelente ubicación junto al centro de eventos North Metro, nuestros huéspedes podrán acceder fácilmente a pie a las reuniones, eventos y ferias comerciales celebrados en estas instalaciones de 520 metros cuadrados con aforo para un máximo de 280 personas. Nuestro equipo de eventos está preparado para ayudarle a disfrutar de la celebración perfecta. "It's all about the food!" The continental breakfast was amazing! Hot breakfast each morning, made by them, not you making pancakes or waffles in a machine and waiting for the person in front of you, but hot eggs, bacon, ham, potatoes, etc. as well as the usual options of yogurt, toast, cereal, oatmeal, etc. Attached to Green Mill Pizzeria, what more could you ask for? Great food and great service! Quiet, too. "Great hotel and mostly great employees"
We stayed at this hotel for a stay and play hockey tournament. We had a great first night with friendly service. The ladies in the breakfast area are great! Second evening was not so great. The lady working the front was very unfriendly and obviously doesn't like children. All the kids were being watched by adults and she shut the pool down due to "rough housing" with no warning. I realize it was probably loud and splashing kids, but they signed up to be a stay and play hotel, so it should be expected. Our check in was a breeze and our room was very clean. The day before check-in I called to move our rooms around to have adjoining rooms with our group and the hotel was able to accommodate us! Staff was helpful and housekeeping was always smiling. The breakfast included make your own yogurt parfait area which I loved also fresh fruit and citrus water 24/7 in the front lobby. One final admirable quality about this property is they offered headphones and headsets for you to use while working out in the fitness room. The company I work for recently put me up in this hotel and told me that it was very nice. They weren't lying, not only are the rooms clean and comfortable, the hotel has very nice amenities. 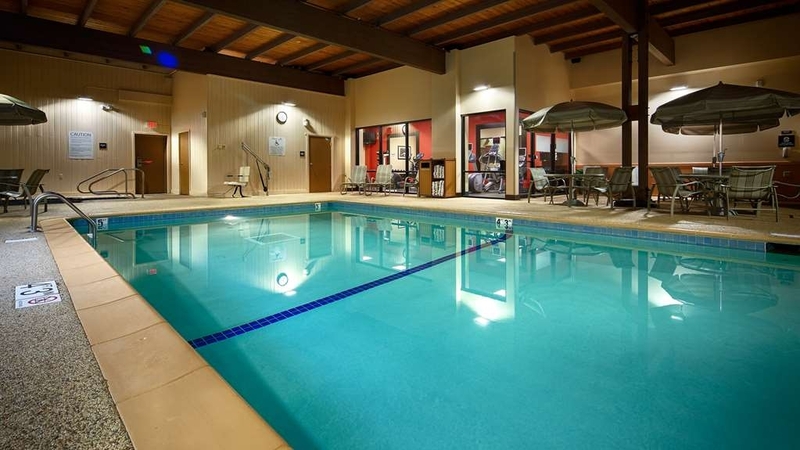 There is an indoor pool and exercise area, very nice for those cold Minnesota days. A breakfast room where one can get any number of delicious items from make your own waffles to eggs,ham, sausage that changes daily. The Green Mill Restaurant is attached to the hotel with a wonderful menu and bar. The front desk staff are warm and friendly not to mention how accommodating. A very nice yong women took the time to google and then call a Chinese restaurant for me to inquire if they would deliver food on a snowy evening. My experience there was much more than pleasant and I would love to return given the opportunity. 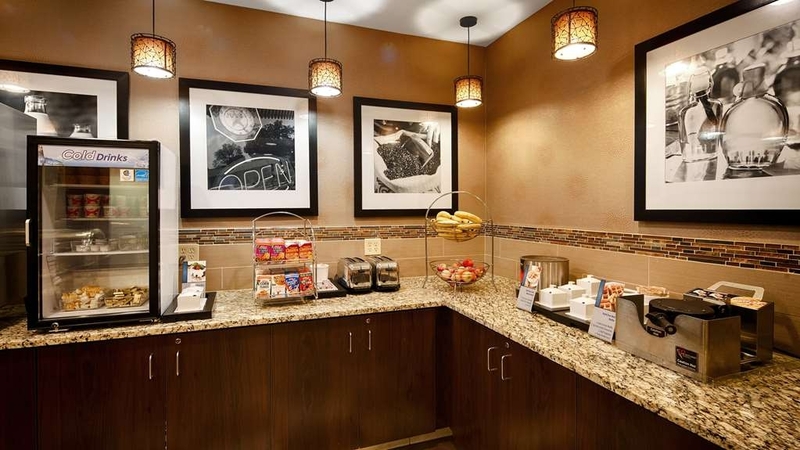 This is a great hotel with a much better than average complimentary breakfast offering fresh fruit, whole grain bread, oatmeal, eggs and non-dairy milk. The onsight restaurant has a decent menu. The rooms are comfortable and spacious with refrigerator and microwave for storing and/or heating food. The location is easy access to major highway. We are delighted that you were pleased with our breakfast selection as well as your room. We hope to see you in the future and would like to thank you sincerely for taking the time out to complete this survey. This was the best stay I have had at a hotel, considering all the stays i have had this says something. The staff was friendly and helpful, to the extreme, I am so glad we were here for this trip.STAFF absolutely deserve a raise. We are delighted that our staff could meet such high expectation, and we hope that this stay with us have brought back some hope to your future experiences with hotels. 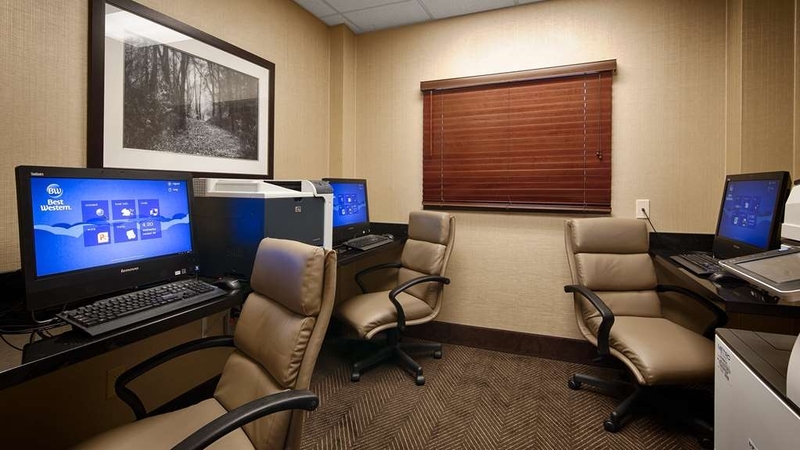 We here at the Best Western Plus in Shoreview take pride in customer satisfaction guarantee. Thank you for the feedback we wish to see you soon. Great customer service. Spoke with Deb (Front Desk) when I made my reservation and she was actually working when I checked in. She remembered our phone conversation and was able to accommodate my requests when I made the reservation. Deb is a great first point of contact and offered her assistance with anything I needed during my stay. "Our home away from hone when in The Cities"
We make quarterly visits to my wife's family. For the last five years we have chose Best Western Plus hotels. I the last two years we have come to consider the North St. Paul/Shore view has our home "away from home." The friendly, helpful staff, quality of the rooms, a great breakfast and the Green Mill are big factors. The location is very convenient. 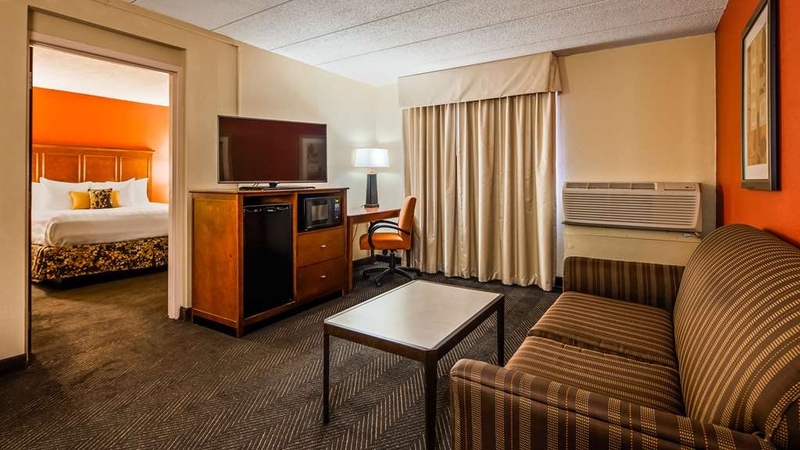 If we take the Amtrak, we stay at the BW in downtown St. Paul (also an excellent choice) for arrival and departure nights and in between we are at the Shoreview location, which is closer to our activities.We haven been visiting the cities for twenty-five years and our experiences with BW Plus have been the best. "Comfortable Lodging and outstanding bar and lounge"
The staff is very personable and accommodating. The hotel facilities are more than we expected at the reasonable price that we paid. Dinner in the dining room/bar/lounge was exceptional. The breakfast included with the price of the room was very, very good! 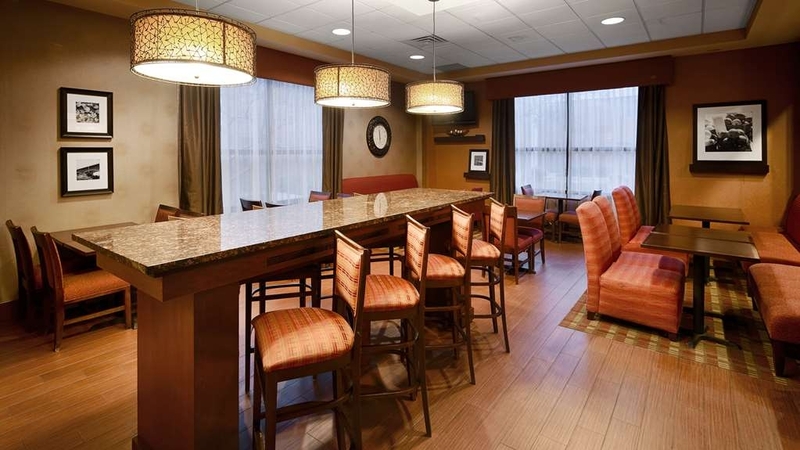 When in Minneapolis, this Best Western is our first choice of places to stay. Great location, the attached restaurant has great food. The rooms are very clean and up to date. All of the staff from the front desk to the breakfast area are friendly and very helpful. I'm so glad to hear that you enjoyed everything about your visit to our location. Thanks for sharing your experience. We hope to see you again soon! Very nice hotel. Room is very clean and the hotel staff very friendly. Restaurant has the best pizza! Austin, the bartender, was exceptionally nice and very helpful! I highly recommend the hotel as well as the bar and restaurant. Thank you so much for the great review! I am glad you found time during your visit to check out our amazing Green Mill Restaurant & Lounge. I agree, Austin is awesome and the pizza is amazing! I hope you come see us again soon. My job in Duluth MN requires me to travel to Little Canada MN. 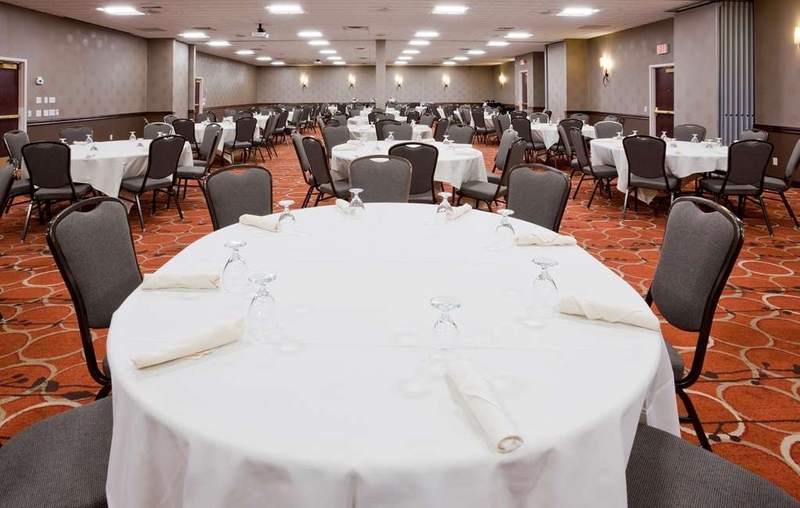 I have been staying at this Shoreview MN hotel for over 10 years because of its location to my out of town workplace, the value of staying there, access to a restaurant on site, but most importantly the people, not staff. Just real nice people that work there. We all know each other by name. Kind of a second family. No need to look any further for a better hotel than here. I cannot think of a greater compliment that being considered your second family! We know you have many choices when you visit the north metro area of the Twin Cities. Thank you for making us your "go to" hotel! We can't wait to have you back soon! "Great place to hold a wedding!" The staff members were all so helpful with the planning and execution of our daughter's wedding! 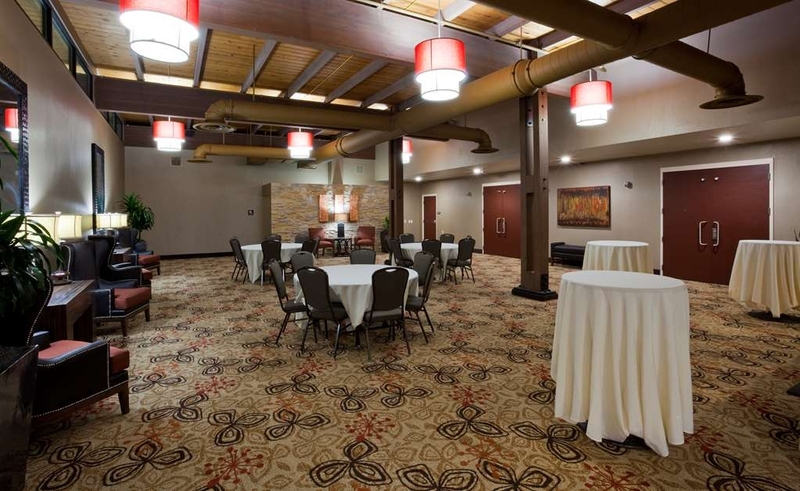 We had 14 rooms rented for the wedding guests and all were very pleased with everything about the hotel/conference center. I would highly recommend having your wedding here!!! We are so glad that we were able to make your event a memorable one. Thank you for choosing us and Thank you for the great review! We look forward to seeing you again next time you come to the area. Staff was very friendly. Clean hotel. We were there for a wedding, venue was very nice, good food.Staff was very efficient. i would stay there again if I need to be in the area. Grounds were very clean. We didn't have time to visit the pool, but a lot of people were coming and going from that area. Green Mill staff was exceptional. Awesome review! Thank you for taking the time to share your experience. We can't wait to have you back next time. "Staff, rooms, grounds, restaurant ~ ALL EXCELLENT!!!" Deb is amazing! Our AC went out during the last string of 90 degree days. We dove there to see if they had a room available for the night. They did, we booked. The next day we find out it will be a week before we can get a new AC installed so we called and spoke to Deb who really took care of us for the next 5 days! We have been back a couple of times since just to use the pool and hot tub and because the rooms are so comfortable and the place is so well taken care of. Courtyard is amazing. Love all the plantings! We will be back!!! I'm glad we were able to provide a cool comfortable place for you to escape while your new AC was being installed. Yes Deb is amazing and we will be sure to share your compliments with her and the entire staff. The courtyard is also one of my favorites, as well. Right now the fall colors really make it an oasis during these gray days. We look forward to seeing you soon. "Surprising nice - great courtyards and good breakfast!" 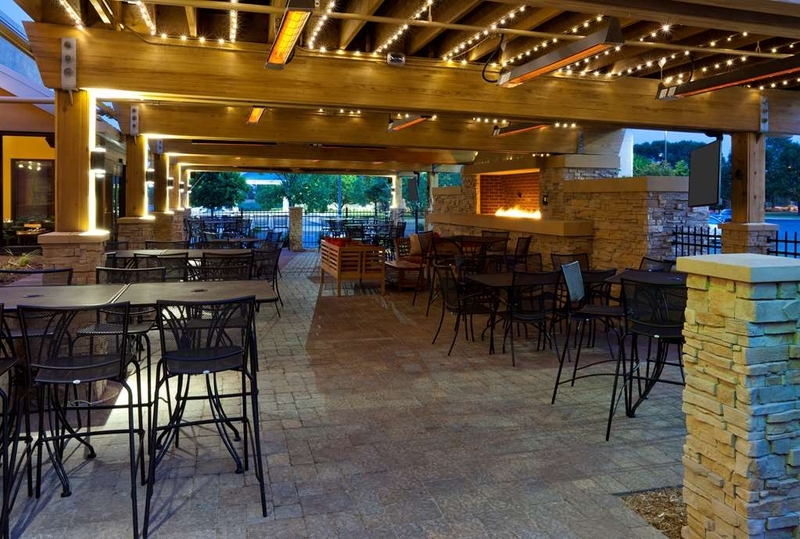 We stayed her for a seminar and enjoyed that the Green Mill is attached - they had a pool and hot tub and fitness center and hidden courtyards to go outside and enjoy the outdoors. Surprisingly nice and large rooms. Breakfast was actually good which is something I typically don't say when getting the free breakfasts at hotels. I'd stay here again. We were very happy with our stay at this hotel. The room was clean and the bed was quite comfortable. The rest of the hotel was very clean and the staff was friendly. I would definitely recommend this hotel . "This hotel's staff is TOTALLY committed to the customer"
We were coming from California to Minnesota to take part in a relative's wedding, and they had reserved a block of rooms at this Best Western. I normally have great experiences when staying at BW's, and was looking forward to the stay along with "catch-up" time with our Great Plains relatives. This time, however, we encountered some problems during our visit. There was a rowdy wedding party that was often out in the hallway that kept us up until after 2 am the first night we were there, and after we were moved to a quieter room we had problems with that room's AC. AND… things like this happen sometimes when it comes to hotels. The key factor is when things DO go wrong, how does the staff handle it? In this case, they were EXEMPLARY. At no time did anyone argue with us, or try to minimize our concerns. Alex, the guy manning the front desk the morning after the "wedding party" incident, was especially gracious to us and not only offered to move us, he also comped us for the previous night. While I was dealing with housekeeping and maintenance regarding the AC issue, they were also kind as well as concerned. It took a few tries before we got everything cleared up, and at no time did anyone brush me off, or say "yeah, we'll get to it" and then not do so - as has happened in some of my previous trips to hotels in various parts of the world. The biggest surprise came after we went back to California. You see, this is the 2nd review I've written for the BW Shoreview. The first one was definitely more complaint-oriented and accusatory. Imagine my surprise when I not only saw a response from the Manager below my original review but an email from the Assistant General Manager also apologizing for "not exceeding my expectations." Not just meeting but EXCEEDING. That's a very telling word and shows the level of commitment they have about the guest experience. I was also surprised to learn that - yes - some hotel staff DO read these reviews! So I withdrew my initial review and I'm putting this one in its place because it's the right thing to do, considering that the staff and management did the right thing by me. They not only apologized but promised to go over my concerns to implement improvements at their facility. They also offered me some other perks, which they really didn't have to do. Although that kind of "the customer is our #1 priority" response was commonplace decades ago, it's so unusual in today's world as to land as nothing short of astonishing. I now have to figure out a way to come and visit the new bride just so I can stay again at the Best Western Shoreview! Wow! What an amazing testament to our hotel. Thank you so much for your glowing review. Our guests are certainly our "#1 priority" and I am glad we were able to turn this around for you. I am especially pleased and excited for you to return to our hotel and experience what your stay should have been in the beginning. Please do not hesitate to reach out when you are ready to book. We will make sure you have a comfortable and enjoyable visit to the Shoreview area. Thanks again! We had a king room near an entrance and parking, so very handy to carry bags in. Very nice breakfast buffet in pleasant and comfortable breakfast room. Pleasant desk staff. Although a couple events were happening, we didn't hear the noise in our room. Complimentary coffees and teas, fruit, and newspapers available in lobby. Although we didn't have time to use them, pool and hot tub looked inviting. Love Best Western!! They always have clean rooms and a nice breakfast. I would stay again. Comfortable bed. Quiet hotel. Received goody bag when I checked in for being a gold rewards member. This is why I continue to seek out Best Western hotels!! We visited the Twin Cities for the UofMN Student/Parent Orientation. Our hotel was perfectly situated between the cities of Minneapolis and St Paul in beautiful Shoreview, MN and only a 15min or less drive to the UofMN. It is close to some great fast casual restaurants and it also has a Green Mill Restaurant onsite. Upon checking in we were greeted by a very friendly reservation's specialist. She offered us a nice goody bag filled with 2 bottles of water and some snacks for signing up for their loyalty program. The room was clean, comfortable and nicely laid out. Breakfast was even better with a byo yogurt and oatmeal bar along with scrambled eggs, bacon, sausage, yogurt, bagels, danishes and more. Oh and the price of our stay was reasonable too!! I couldn't ask for anything more!! We stayed here while visiting family nearby. 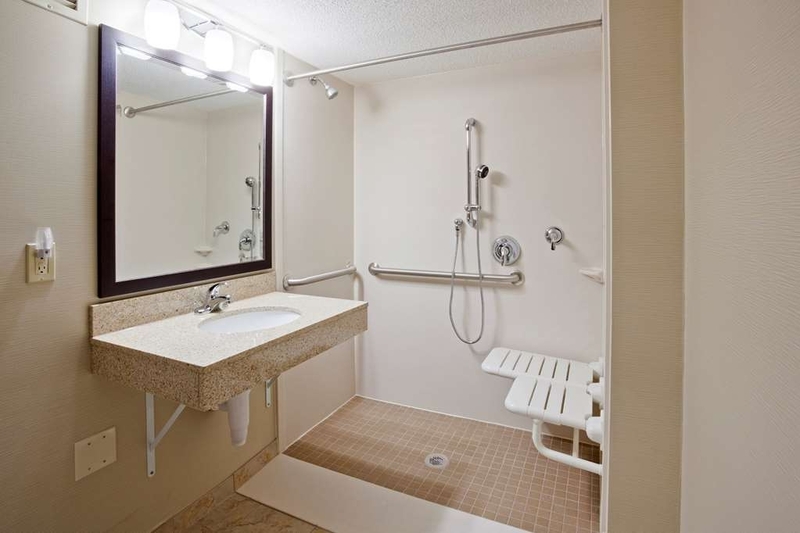 We asked for an accessible room with a roll in shower and were very pleased with our accommodations. I'd like to recognize Helen in the breakfast dining room. She was so pleasant and helpful and really made our stay enjoyable. Breakfast was a nice variety of omelettes, sausage, oatmeal, waffles, breads, fruit and juices. We will return to this hotel on our next visit to the twin cities. "Large rooms, good for families"
Check in: We arrived at 2am and walked in to the fire alarm sounding... not the best but it was being serviced as a false alarm. We were exhausted and went directly to bed only to be woken by the alarm again. The employee who checked us in was very pleasant and efficient even with the false alarms. Room: Stayed in 248 which smelled like smoke, we eventually figured out that the cigarette smoke wafts in to the room via the air conditioner from the courtyard. The room is a King, is large and includes tv, fridge, microwave and coffee maker. The room seems dark due to the orange/red accent wall. The bath is good size with large counter space. The bed is a bit firm but comfortable. Facilities: I didn't use the pool or game room. I did partake of the free breakfast which consisted of the standard continental fare. This is a normal budget hotel, towels are a bit hard, rooms are large and clean, staff was a pleasure and parking was free. Extremely satisfied! Room on first floor with access to courtyard was a bonus! Had 2 grand children and they loved the pool and arcade area. Was actually able to open drapes and see them in pool across the courtyard!! I'm so glad to hear that you and your family were able to enjoy our courtyard and pool area. The courtyard is certainly a favorite hang out spot for many of our guests. Thanks for sharing! If you're looking for a high quality hotel for a great price, this is the place to stay! The staff is beyond friendly making you feel right at home & the entire hotel is unbelievably clean. The pool area has tons of seating and the restaurant is DELICIOUS. We look forward to our visits to MN simply because we love this hotel! Highly highly recommend! Thanks for the glowing recommendation! We are so pleased to hear that you enjoyed so much about your visit to our hotel. We really appreciate your repeat business and cannot wait to have you back! "Overnight stay while travelling from West Coast to East Coast"
St. Paul area was one of our planned stops. We tried to pick a location that would get us into the city and out of the city with as few traffic issues as possible. The Shoreview location was perfect. The hotel was well situated with a very good restaurant attached. The beds and pillows were super comfortable. Overall, a very good stay at a good price. Would recommend this location to anyone travelling through. Thanks so much for choosing our location. I'm so pleased to hear that it suited your needs so well! The Green Mill Restaurant is a great place to relax and enjoy some good food. I hope you had a chance to check out their beautiful 3 season patio. Thanks for the recommendation! Hotel staff was exceptional. Very professional and willing to go the extra mile in customer service. I would recommend this place to anyone staying in the Twin Cities area. Facility and rooms are very clean. We are so pleased you enjoyed your experience at the Best Western Plus/St. Paul North/Shoreview. Thank you for the great recommendation! We hope you find another opportunity to visit us soon. This location has been our hotel of choice for a number of years and we have never been disappointed. The room and hotel amenities have always been very satisfactory and having a restaurant on site has been extremely helpful. No need for additional travel to get a meal. A great place to meet and reconnect with friends and family. Your comments say great things, but your 1 star rating says something else. I am very sorry if we let you down in any way. Thank you for taking the time to comment on your stay. I hope you return and allow us another chance to make your stay a 5 star experience. The staff at the Best Western Plus St.Paul/Shoreview are awesome. I stay there pretty frequently and they are always kind, attentive and professional. They go out of their way to make positive impressions. Thank you for returning to us again and again! Our team loves providing great service and so appreciates your great review. We can't wait to have you back soon. The entire experience was positive from booking through checkout. Very friendly, helpful staff and clean, comfortable room/bed. We enjoyed the food for dinner in the resaraunt, as well as the complimentary breakfast. Thank you so much for the great review. 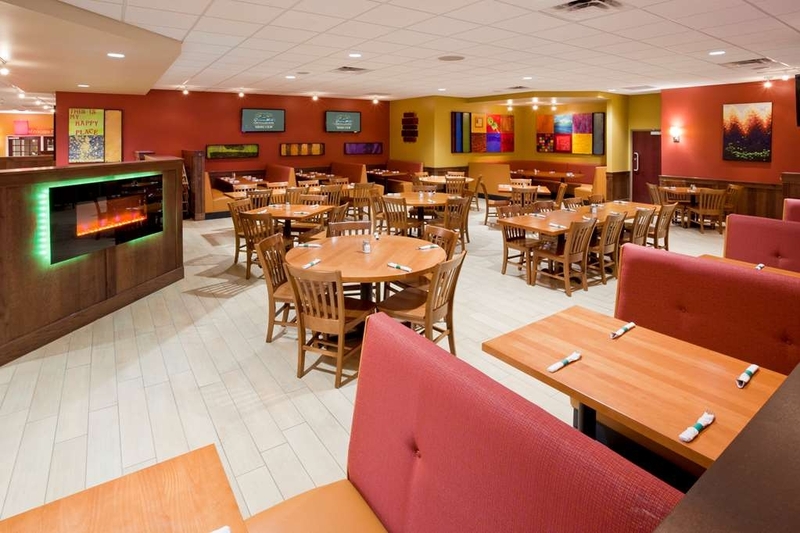 We are thrilled that you seemed to enjoy everything about your stay with us, including our Green Mill Restaurant. We hope you return to us soon! So glad you had a chance to check out our amazing breakfast and the Green Mill Restaurant and Lounge. Thanks for sharing your experience. We hope to see you again next time you are in the area! "Great staff extremely clean very friendly"
It sounds like you had a great time during your stay. So glad you found some time to check out the Green Mill Restaurant as well. Thanks for taking the time to comment on your experience! Thank you for sharing your experience. 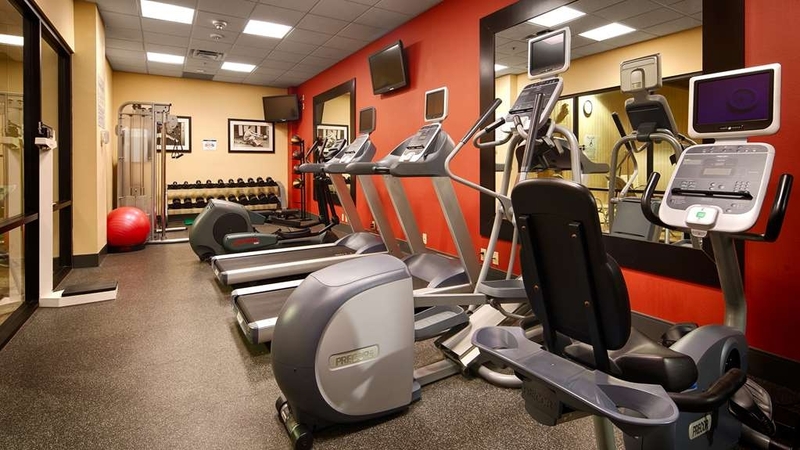 It sounds like you got a chance to check out many of our great amenities. We also have free Wifi and the delivery from the attached Green Mill Restaurant. We hope you have a chance to visit us again soon! Extremely friendly & accommodating staff. Clean hotel & comfortable decor. Continental breakfast was a nice variety of items. Sunday there was a brunch at the Green Mill restaurant connected to the hotel. Would definitely stay here again. I'm so pleased to hear that our staff made your experience so great and that you had a chance to check out the amazing brunch at the Green Mill Restaurant & Lounge. Thanks for the great feedback! Great location, right by the highway and plenty of food options if need be. The Green Mill, attached to the hotel, is an excellent place to unwind and start a relaxing getaway. Overal, everything was great during this visit. We are thrilled that you enjoyed your stay with us and your visit to the Green Mill Restaurant and Lounge. They have great food and it's so convenient that you don't even have to go outside to get there from the hotel. Thanks for the great review! The room was clean and comfortable and there was a variety of hot and cold breakfast items. The staff was pleasant and accomodating. Our stay was over a holiday week with so the room was also very quiet. There was an unpleasant odor when we turned on the heat. Thank you for taking the time to comment on your great experience. I'm so pleased to hear that our team was able to make it a great one! We enjoyed the room, the pool, and complimentary breakfast. It's location was easy to find. The pool was quiet and they even have some games for kids to play. They have a great selection of breakfast items. Thanks for choosing our location for your family visit. We are so pleased that you enjoyed your room and the many amenities we offer. We hope you keep us in mind the next time you are in the area! I have stayed at this hotel every time I travel to Minneapolis, for the past 8 years. It used to be a Hampton Inn, and it is also a great hotel as a Best Western too. It's a great value, it has the friendliest staff, that make you feel like family. Renata, especially makes the guests feel at home, she used to work in the breakfast area and now she's been promoted to a manager. The beds are very comfortable. It's also convenient to have the Green Mill restaurant on site, and a Target and Trader Joe's nearby. 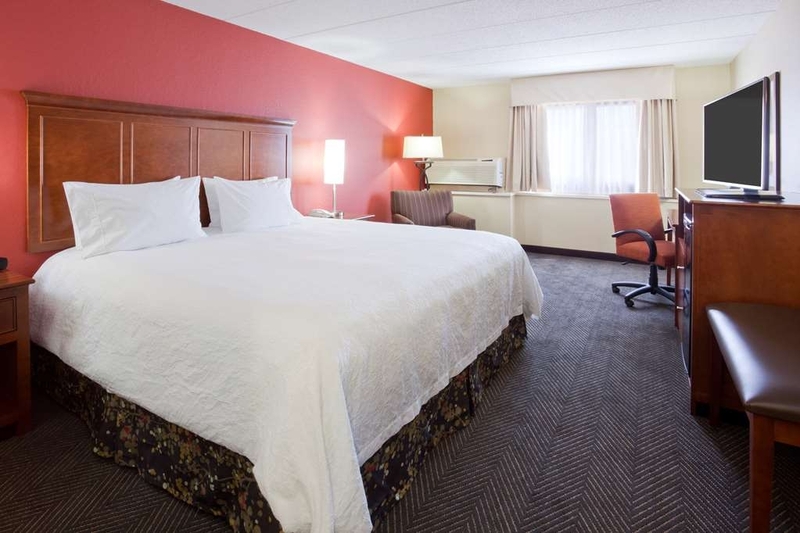 "A very nice, clean and friendly place to stay in the North St. Paul, MN area. City of Shoreview." We found this Best Western Plus to be a very nice place to stay. We had stayed several years ago, but since then it has been totally revamped. It is very modern, clean and easy to drive to. It also has a Green Mill attached, so excellent food is easy to find without driving. It's great to have you back! I'm glad you enjoyed the new things we have to offer since our renovation, as well as the great stuff we continue to provide. Thanks for commenting on your great experience. "Great stay, clean property, and great staff." Had to stay in the local area for an overnight business trip. Decided to check out this Best Western Plus. Glad I did. Ordered a burger to-go, from Green Mill restaurant, which is attached to the lobby. Great food. Also, Alyssa was very friendly and helpful when I arrived. Room was clean, spacious, with a couch and table. Bed was very comfortable. We are so glad you tried us out! It sounds like everything went so well. Thank you for taking the time to share your experience. We will be sure to share your compliments with Alyssa and the entire Best Western Team. Wonderful place to stay. We always stay at this hotel for cleanliness and everyone is friendly and very helpful. No sour faces! Food is always very good and the ease to get around to other meetings etc... is very easy! This is always our choice hotel when in the area. This hotel is a quite off the main road location. Located close to multiple choice eat places. I would love to have the same bed clothes on my bed at home. We are glad to hear you enjoyed your visit to our location and that the wedding went so well. Thank you for taking the time to comment on your experience. 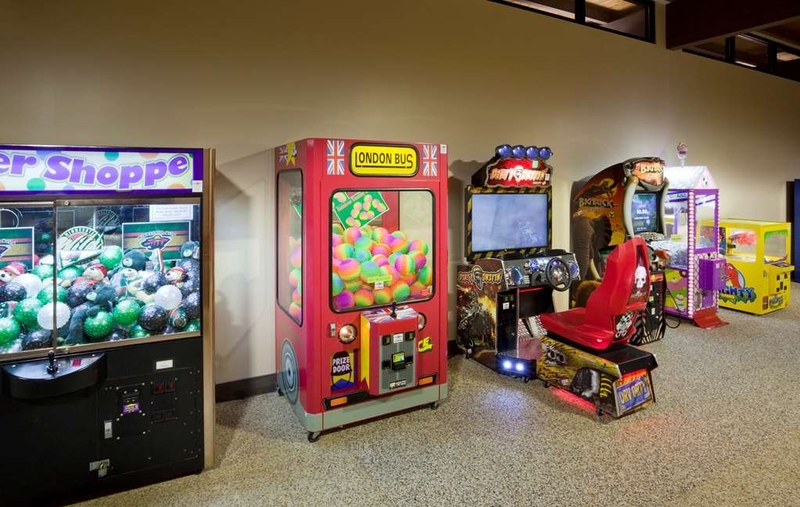 We hope you return soon and check out some of the other great amenities our location has to offer. 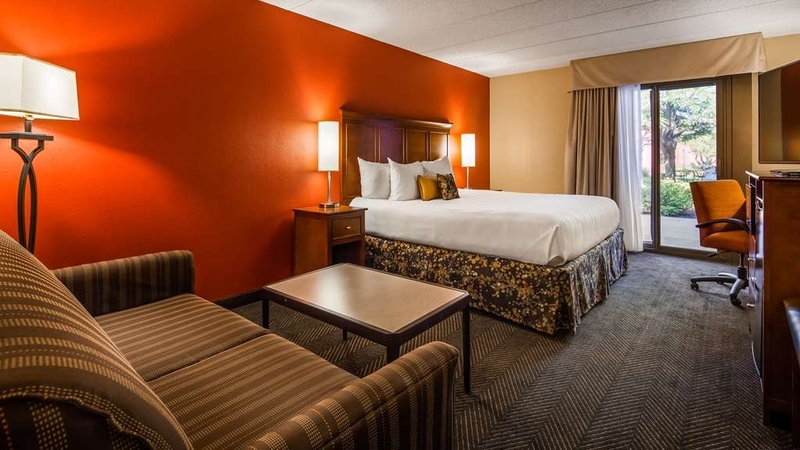 "The nicest Best Western I have visited." Desk staff was very nice and accommodating. We visited the Green Mill bar connected to the motel, and also experienced great service. All staff members seemed to enjoy their job. Room was very clean and nice. Very comfortable bed and pillows. Breakfast was served until 10:00 so even later sleepers had a chance to enjoy the eggs, sausage, potatoes and other delights available. I did not have a chance to use the other amenities, but the pool area and weight room looked very nice. All areas are very clean. Enjoyed our stay here and we would definitely stay here again. Why thank you! Our team is a very dedicated group of professionals who really love our guests. I'm glad they made such a great impression and that you enjoyed so many of the great things our location has to offer. 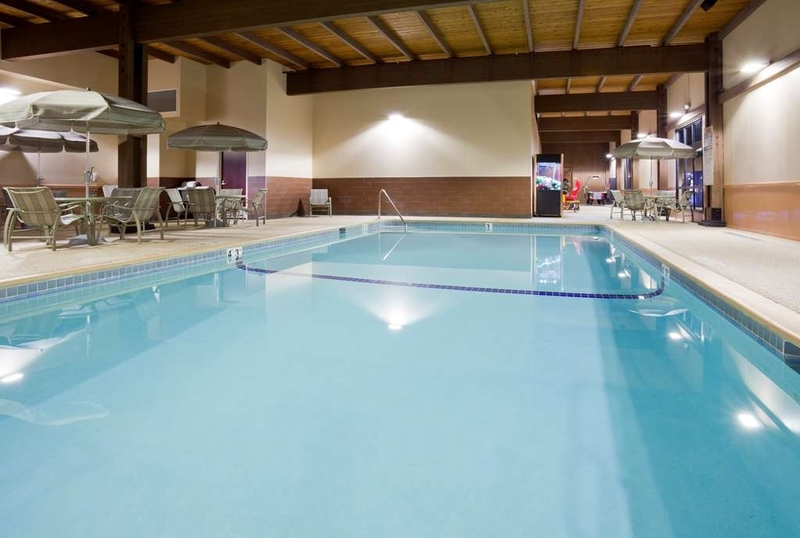 I hope you return soon so you can relax and enjoy our very spacious pool and exercise room! Exceeded my expectations for a $80 room. Have been staying in a bunch of pretty nice hotels over the past couple weeks for work and this place was my favorite. Things I liked: staff, room (easy to regulate temp, accessible outlets by bed, clean), hot tub, very decent breakfast, and plenty of parking (compared to downtown Minneapolis). Sounds like you found one of our great deals out there. Thanks for trying us out! It is great to hear that you found so much to love about our location. We hope you come back to us soon! The beds are extremely comfortable and the room clean. It comes with a fridge and microwave. The breakfast has really nice hot options and a wide variety of items. This is my favorite hotel to stay at when I come to St. Paul. "Not bad (but not better than slightly above average)." One the good side of average hotels. Clean and decent but old layout and average rooms. Would have no problem staying here again but would probably just choose a Hyatt Place, Springhill, Towneplace, etc because those are more modern and similar price. Restaurant is a bit expensive for what you get. $13 - $15 burger ? Really? Thank you for the great comprehensive review. I'm sorry we didn't wow you. We will use your feedback to work on improving our service and product. We hope you consider giving us another try when you are in our area. Thank you for your review on your recent stay with us. I am sorry that you were unable to check out the pool with all the extra people. It sounds like you found a lot of other great things, though. I hope you give us another try in the future. 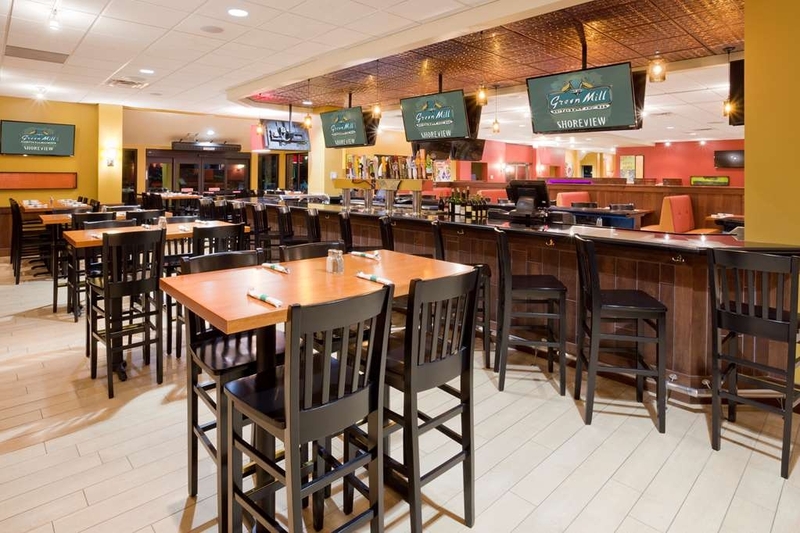 We would love for you to be able to enjoy all of the great things our location has to offer! Very nice property. Well kept. The room was decorated nicely and very clean. The hotel seemed busy with sports teams, but we slept well and I was surprised at how quiet it was. The property was easy to locate and had plenty of parking, and was close to food options. Thank you for the very nice review. I'm glad you enjoyed your visit to our location. We hope you come back again next time you find the opportunity! "Most polite staff in any hotel I've been to"
Thank you so much for making time to comment on your visit in July. It is great to hear that our team made your stay such a pleasant experience. I will be sure to share your compliments. We hope you come see us again next time you are in the area. I like the Best Western chain and have stayed at many but this is one of my favorites. 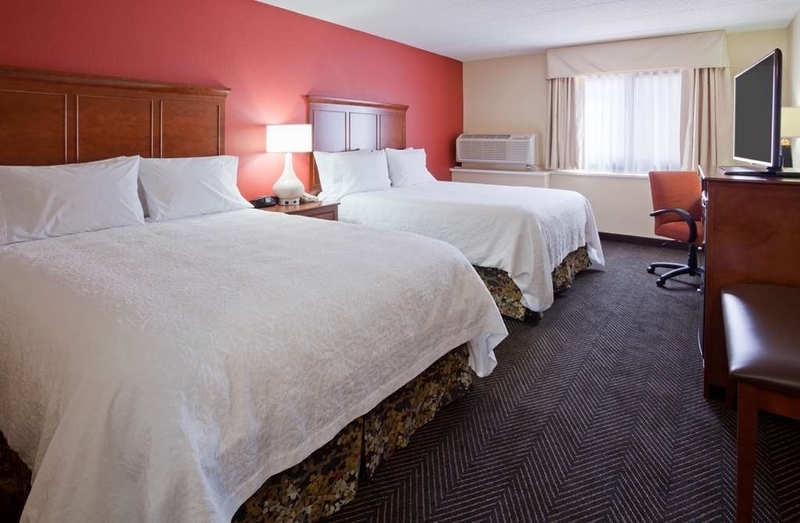 Hotel has great access to the interstate, bordering on I-694. Just on the other side of the interstate is a Trader Joes and Target and strip mall if you need to pick up anything. The hotel itself feels very new and modern. Check in was very easy and there were cookies awaiting us. Room was good sized, bed was comfortable, and the air conditioning worked well. 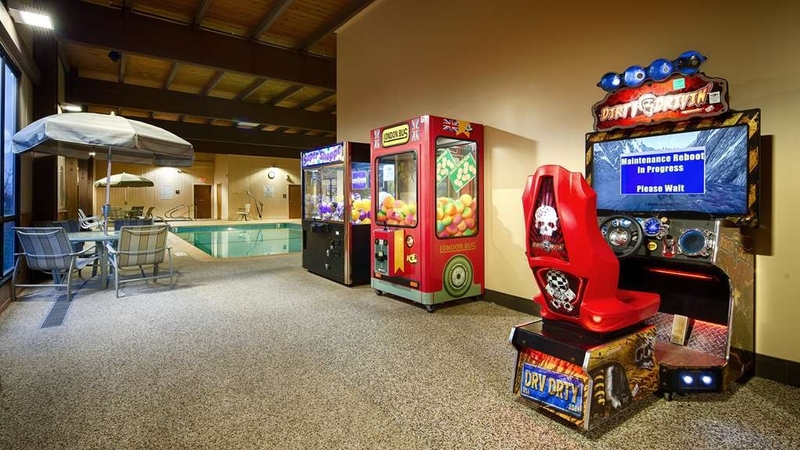 There is a nice indoor swimming pool and game room, along with several meeting rooms. Breakfast consists of waffles, eggs, sausage, cereals, and pastries from a local bakery. Staff was exceptional as well, particularly Renata. She helped with our reservation and was working the front desk while we were there and employees like her are a big reason why we will stay here again. Ah yes, Renata is an amazing girl and we love her too. I will be sure to let her know what a difference she made in your experience. Thank you for taking the time to share such a lovely review! We look forward to seeing you next time you are in town! was here for an extended weekend stay. at check in both were cheery. check in smooth and quick. i needed a box right off the bat. they couldnt do enough to help find me one which they did. hotel a little spread out. good exercise anyway. everything was clean and fresh.hotel 1/2 mile from highway. nothing really right here. 15-30 mns from most anything. hot tub and pool area clean. temps were just perfect. never really got crowded while we were there. some table and chairs pool side. plenty of towels. a small exercise room with tv. a few machines and free weights. there is a restaurant attached to hotel. but i didnt go there. is a business room 4 computers and a printer. free wifi! room had a fair amount of space. no issues. nice tv's fair amount of stations. plenty of towels. a refridgerator and microwave in the room. never really heard any hallway or other room noise. did hear rain hitting glass window. thats nature. was a number of things going on there. never seemed crowded or anything. there is a banquet room, meeting room there. is a breakfast in the morning. a small number of choices. don't compare most hotels breakfast to a restaurant or you will usually be disappointed. it served its purpose for us. free newspaper daily. everyone was friendly. most always saying hello.plenty of parking. usually not very many park out back. is an outdoor courtyard. with some table and chairs to hang out. rooms were cleaned everyday. overall excellent stay and hopefully we stay here in the future! What a great review. Thank you! I'm glad our team made your visit such a success. We love our army guests! We hope you find an opportunity to come back and visit us again soon. We are so excited to hear that we will be your new hotel of choice. Thank you for the great review! We can't wait to have you back. It was a nice place to stay for just a casual weekend get away. Pool and hot tub were nice. Access to courtyard to smoke and sit at picnic tables. Green Mill attached. The breakfast was an average continental. Beds were a little stiff but overall it was a good stay. Would go again. Thank you for your feedback. I'm glad you had a chance to enjoy our little courtyard and the pool area. We look forward to seeing you again next time you are in the area. "Would love to visit again!" I would rate everyone on your staff higher than a 10 if possible. "Going out of their way" and "going the extra mile" seemed to be the norm for everyone I met. But two of your staff in particular, Tammi and Alyssa, surpassed even this in going above and beyond the call of duty. Without belaboring all the nuts and bolts, I found myself in a bit of an awkward predicament and got a bit frantic (please don't ask). I simply can't speak highly enough of the supreme understanding and professionalism of these two in helping me work through my issue. As we used to say in the Air Force at the end of a particularly good personnel review, "Definitely promote!" Thank you for the amazing review! I am so glad to hear that our team did such a great job for you. It is something we work very hard to do and it is truly a pleasure to hear that Alyssa and I were able to help make such a difference in your day. We hope you come back and see us very soon. "Beautiful place for wedding guests." Our daughter got married and reserved a block of rooms at this hotel. Everyone loved it! It was close to shopping and many fine restaurants. It was easy to find and a great place for anyone traveling. Families liked it especially for it's lovely pool area. And couples liked the lovely outside dining experience with cozy fireplace. It is great to hear that your daughter and the entire wedding party enjoyed their time with us. Thank you for such a lovely review. We hope you keep us in mind for any future needs! "Ische Racing Team Hay Days Grass Drags 2017"
It's great to hear that our team was able to make your team so comfortable and happy during your visit to the "Hay Days" event. We really appreciate the fact that you have chosen us in spite of the extra distance to your event. Thanks for sharing your feedback. We look forward to seeing you next year! The hotel is a very nice and clean place to stay. The hotel staff were above the standard of excellent. The attached restaurant was on the pricey side but the food and service made up for that with good favor. Thank you for such a great review. I'm glad you found our team, our hotel and our restaurant to your liking. It is our number one priority to provide an outstanding experience for all of our guests. We hope you find a chance to visit us again soon! Awesome place to stay and relax. Enjoyed the pool and the breakfast was very good. Very relaxing atmosphere. Courteous staff checked us in and also very courteous when I was making reservations. The rooms were clean. The exterior was beautiful. Short drive to our attractions. Very close to where we could take the shuttle to the state fair. Awesome review. We are so pleased to hear that you enjoyed so many things about your visit. Our team thanks you for the feedback! 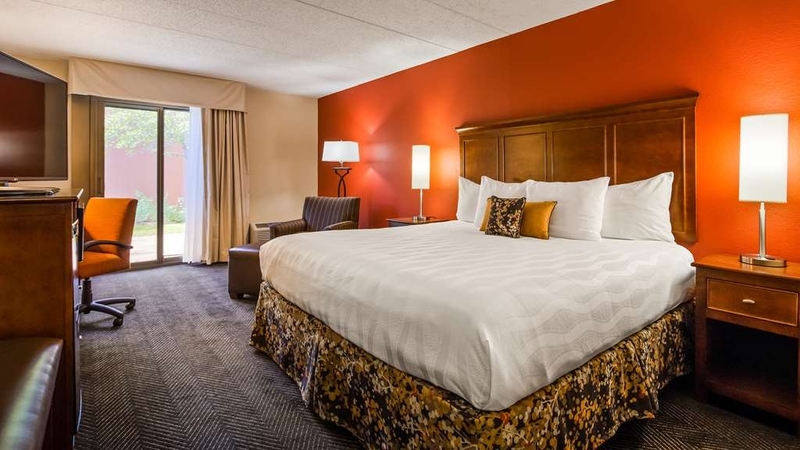 "Best western plus in shoreview=awesome!" this was a great hotel, friendly staff, free breakfast. Green mill next door. Shopping mall and movie theatre about 10 minutes away. Swimming pool is on small end but great hotel with great staff. We will definitely be coming back. I'm so glad to hear that we met your needs so well! Thanks for taking the time to share your experience. We look forward to seeing you next time. The staff was super nice and accommodating. We were coming from out of state for a wedding party that weekend. Both staff members I spoke to via phone went out of their way to get us checked in earlier than the check in time of 3 pm so that we could get ready and be at a wedding reception at 2 pm. The bathroom door didn't lock but that was a small inconvenience compared to the outstanding service we received. Beds were comfortable, and breakfast was good with some plentiful hot items such as omelettes, ham, and waffle maker. I know I can always count on Best Western to meet my needs! Thanks for the great review! I'm so glad our team was able to get you in early and make your stay a success. 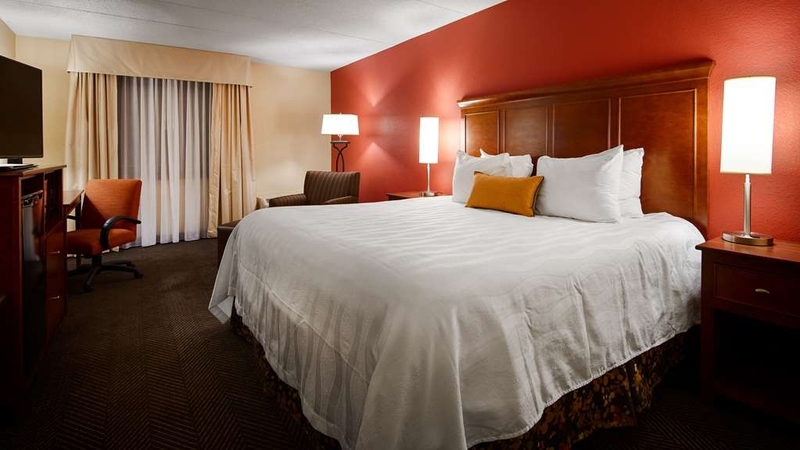 We hope to see you again at our Best Western Plus next time you are in town. "Best Western -Destination: Mn State Fair"
We chose the motel because there was a park and ride about a mile away. There was free parking and a free shuttle to and from the fairgrounds. 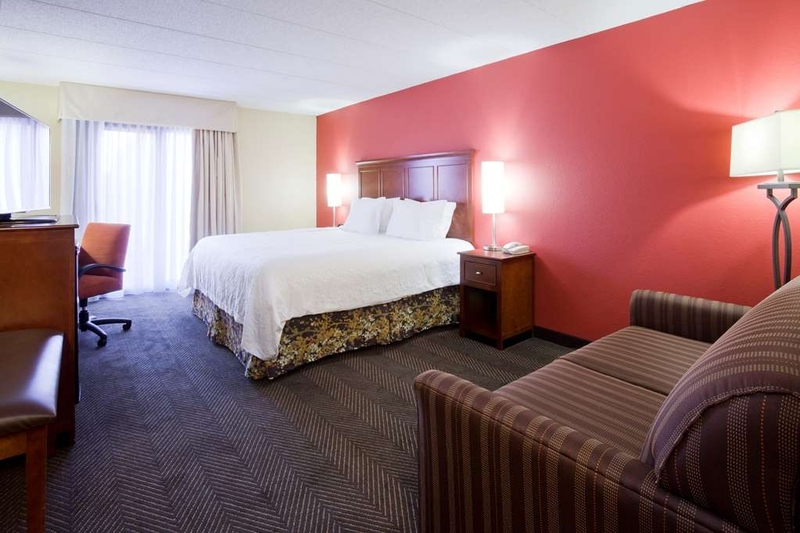 The room was comfortable and clean, staff were all friendly, and the price was very reasonable. Thanks for choosing our location and also for the great review. I'm glad you had a chance to check out the "park and ride" to the fair. It's definitely the best way to do it. We hope you come back and see us next time! A nice place to stay. Rooms were clean, quiet and comfortable. Although the warm breakfast was out a few times and no staff around in the area to make sure it was topped up. I ended up eating breakfast elsewhere a few times. I'm so glad you enjoyed your stay for the most part. Thank you for the feedback on the breakfast. I'm sorry you did not always have what you needed. We will be sure to use your comments to improve our staffing an service in that area. Very impressed with the hotel and our room. Breakfast was very good along with the women in charge of the breakfast area. Gal at check in desk was very friendly. Courtyard out our window was pleasant. I was looking for a safe, quiet, and clean place to stay where the employees were super friendly and the price was affordable. We found it here in North Sa. Paul / Shoreview MN It was nice after a long day of shopping at the Mall of America to kick our feet up and relax at this Best Western. We have been staying at this location for many years. The staff has always been very pleasant and professional, helping us in anyway possible to make our stay a comfortable one. Since we have family in the area, we will be staying here for years to come. 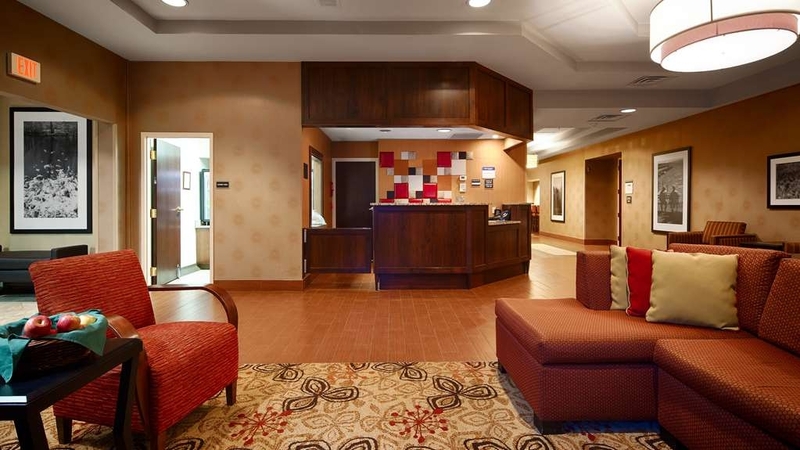 The Best Western Plus St. Paul North/Shoreview is a wonderful hotel. Kind staff, spacious two Queen bed room, comfortable beds, and a good breakfast made our stay very pleasant. The breakfast had a variety of foods, which made it easy for everyone to find the right fit. "Great Staff and Very Comfortable"
We had a family function. The staff at Best Western at Shoreview were the best! They were very welcoming, efficient, and helpful. The rooms were very clean and the beds were comfortable. It was a quiet hotel. It's nice that there is a bar and restaurant attached to the hotel. It's the Green Mill Restaurant and Bar. Thank you for choosing our hotel for your family function. We are so glad we could help make it such a success! We hope you keep us in mind for future events. The staff was friendly and very helpful. I arrived very early and they were able to check me in early which was very much appreciated. I also had to leave late at night and they were able to keep my bags until I needed to depart so I could go and do other things The overall property was clean and welcoming. The beds were very comfortable! This is the first time I have stayed at this hotel and all was great for a 2 1/2 star! The front desk staff was attentive, easy unload of my luggage and I had a great room with a screened sliding door out to a courtyard. My bed and pillows were very comfortable and I had a large screen TV. The breakfast help were super efficient in making sure you got what you needed. I also ate at the attached Green Mill restaurant and the food and cold beer were great, the outdoor patio was very nice. This hotel is convenient right off 694. The staff are top notch and the hot breakfast was excellent. Its an older hotel but well maintained. The beds were firm and comfortable with newer bedding materials. The WiFi met our needs. We used the laundry which was fine. Thank you for your feedback! 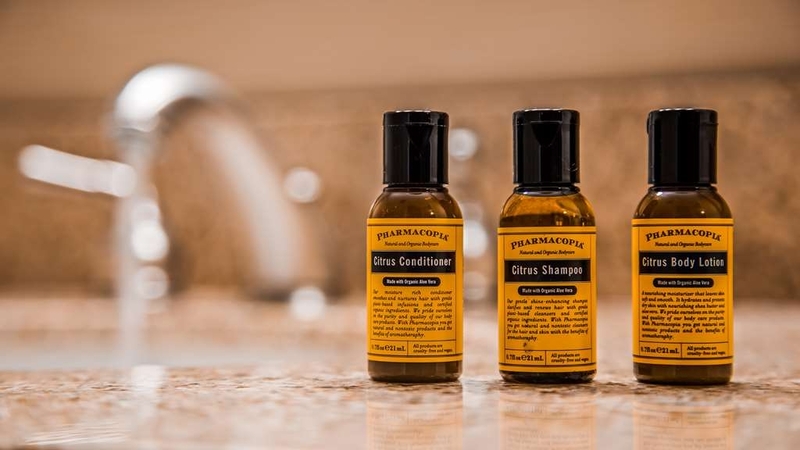 It's great to hear that you had a pleasant experience with our staff and that our amenities met your needs. We hope you think of us the next time you're in the area. Staff was wonderful. Check-in and out was flawless. Rooms aren't spectacular, but are clean and what you would expect for this price point. The hotel was crowded with many youth soccer players, but never felt noisy. Thank you for your feedback. I'm pleased to hear that our team made your visit a great success. I hope you keep us in mind next time you are in the area. Thank you for the glowing review! We love our wedding groups and feel honored that you entrust us with your special day. I'm glad we were able to meet your needs so well. Thank YOU! You mentioned so many great things about our hotel and your stay. We really appreciate you sharing your experience. Hopefully you can return again to our location soon. "Nice hotel, cleaning service needs work"
These are nice rooms in a decent location. However, cleaning staff did not clean our room 2 days in a row and blamed us. They stated we left the Privacy Please notice on the door, however that was not true and we even spoke to the staff making sure they knew we had left the rooms each day. Front desk clerk was wonderful in trying to make up for this. I just do not think she should have to cover for them. Thank you for your feedback. I am so sorry to hear that housekeeping missed your room both of the days you were here. I am working with the staff to find out why this happened and to prevent this from occurring again in the future. I am glad our Front Desk staff was able to resolve the issue in an acceptable way for you. I hope you consider us again when you return to the area. I do business in the area and you can't beat the location and great staff. Great price and recently remodeled. Books up quick and other hotels charge close to twice the price. The pool/hot tub is nice and there is outdoor seating in the courtyards which is nice. It is great to hear how well our staff and location met your needs so well. Thank you for taking the time to share your experience. We hope you keep us in mind next time you are in the area. "Clean, Comfortable, & Convenient "
This is a great place to stay for business or a family vacation. My room had a spacious fridge and a micriwave. The hotel is aesthetically pleasing, clean, and was conveniently located to the Interstate, stores, and the location of my meetings. They served an assortment of typical continental breakfast items. The staff was friendly and accomodating. The connected restaurant, Green Mill, gets 5 stars as well. If you are looking for a budget-friendly place for business or pleasure, I would highly recommend this place. If I'm ever here again, this is where I plan to stay. It is so nice to hear how much you enjoyed our hotel and restaurant. On behalf of myself and our team, Thank You for taking the time to share your comments. We are thrilled to be your "go to" place while you're in the area! The entire hotel was clean and the staff was courteous. The continental breakfast had a good variety of options with small changes daily to keep interest up. The waitstaff in the lounge/bar kept on top of drink orders and were very friendly. Very nice review! I am so pleased to hear how much you enjoyed your time with us. Thank you for sharing your experience. We can't wait to see you again. "back to the 50's 2017"
My son and I stayed here again for the 50's. Room was great , rate went to 200 per night for our event. not cool.. oh well still great stay, clean,great hot breakfast!! I guess I would recommend this for any traveler . We stay there just about every year. Thanks for your recommendation. We love our "Back to the Fifties" event. I am a little surprised at your comments on the rate, however. Our rate has been the same ($179+tax) for the last 3 years. We do not have any plans to raise our rate in 2018. Reservations for this event will open August 9th. We hope you join us again! Our room was clean, bright and fresh. A small courtyard within the perimeter of the motel gave us a private and quiet place to sit outside and relax away from the noise of passing roads and automobile movement into and out of the complex. The room was one of the best we've stayed in, as were all of the components that comprised this motel, i.e., meeting faciities, restaurant. The bed, bedding and blankets were clean and comfortable. The environmental controls all worked and allowed for good temperature control. 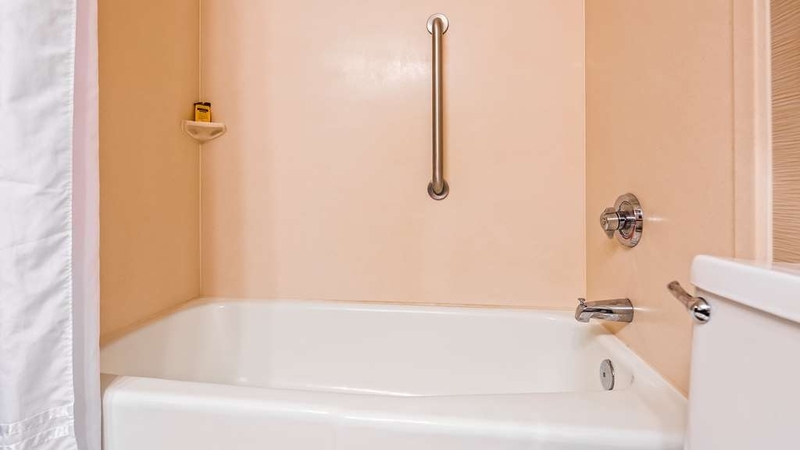 I would highly recommend this motel for its excellent atmosphere, quality of rooms together with the entire facility which appeared to have been completely renovated within the last couple of years. The staff, from front desk to housekeeping were all openly engaging, warm and wanting to help. Excellent location off of the Interstate and we were very satisfied with our stay. We did find it somewhat pricey however for the product in comparison to other hotels that we're staying at on our trip. I'm glad you enjoyed your experience with us. We have many different pricing options throughout the year. We hope you consider us again on future trips. We will be sure to work out the very best rate we can for you. Thanks for sharing your feedback! "Lovely - Our new Go-to place in the metro"
Easy access, close to restaurants, hotel is immaculate, staff is super friendly and a wonderful free breakfast. There's also a nice pool/spa/exercise area and some greenspace. This is our new go-to place when we travel to the metro. We're thrilled that you have chosen our location as your "go to" place! Thank you for an amazing endorsement. We can't wait to have you back next time! While the staff was repairing a broken door mechanical problem the room was left open and unattended and we were robbed. Management waited a day to respond to our report, and indicated the customer assumes all risk liability. At all exits are Sheriff's posters warning of auto parking lot thefts. We will not stay at this hotel again. Traveler beware! I am very sorry for the problems you encountered during your stay. I know that we refunded your money for the entire stay. If there is anything else I can do to help resolve this issue, please let me know. We take our safety and security very seriously and are working to prevent any future occurrence of this nature. Thank you for sharing your experience. "Great staff and marshmallow beds"
First we want to commend the helpful friendly staff! Second those beds and pillows so comfy we now call them the marshmallow beds. We had a king bed with a sofa and coffee table, nice to have that extra living space when staying several days. Clean quiet and handy right off the I-694. The Green MIll restaurant is adjacent to the hotel so you can just step in from the lobby, nice in bad weather! We'll stay here again for sure. Marshmallow beds-I LOVE THAT! Sounds like you enjoyed so many great things our hotel has to offer. On behalf of our team, Thank you! It is our greatest joy to hear what a difference we can make in our guests day. We can't wait to see you on your next trip to our hotel. We stayed here as a family in the spring. The room is nicely updated and comfortable. It was great to have a fridge and microwave in the room. The best part is how quiet the room was, we never heard anyone else, except an occasional door opening or closing. Housekeeping did a nice job, we didn't have our room serviced daily but they did accommodate our request to have the trash taken out every day. The pool is warm, and has an arcade room and nice gym attached. We didn't ever see anyone else there. The staff are very helpful and nice. Continental breakfast each morning is a nice bonus too :-) We will definitely return for our stays in this area. We're so glad your family chose us and enjoyed their experience with us. On behalf of the entire team, I thank you for such a great review. We can't wait to have you back to our location. The room was very nice. There was a problem with the air conditioning which was addressed immediately. Breakfast was good and staff very professional. The hotel must be well insulated as I heard no noise and am a very light sleeper. I'm so glad you had such a restful and enjoyable stay with us. It is great to hear that maintenance was quick to respond and prevent any major problems with the air conditioner in your room. I hope you consider us again next time you visit the area! Talk about staff going out of their way to make you comfortable! From the front desk to the restaurant and the breakfast as well. Customer service was amazing. The hotel is located in a perfect spot for any visit. We are thrilled to hear that the staff made your stay so memorable. Thanks for sharing your experience with us! My 2 night stay here was great. Rooms are nice and clean. I had the king room...has a sofa and table, microwave, refrigerator and a patio (first floor) out to the courtyard. Staff were all very helpful and very friendly. The complimentary shuttle was very convenient and the drivers were super nice. Also free hot breakfast! Yes, our king studies on the courtyard are one of our most popular rooms. I'm so glad you enjoyed it and the many other things our hotel has to offer. Thanks for taking the time to comment on your experience with us. We can't wait to see you again! I have stayed at this hotel several times in the past 3 years. Always clean, staff is professional and food fresh. I would recommend it. The restaurant attached to it makes it very convenient for lunch or dinner. The exercise room is updated and in working order. I will be back. We look forward to having you back. I'm so glad our team and location meets your needs so well. Thanks for sharing your evaluation! Nice quiet location, nice clean rooms, nice pool area and very good breakfast in the morning. I only stayed one night but I have stayed there before and the price is reasonable. Friendly staff. Breakfast is excellent, eggs, meat, waffles, cereal, milk and juice. If you are hungry afterwards it's you own fault. It's great to hear that you enjoyed your experiences at our location so well that you continue to come back. Thank you for taking the time to share your feedback. We can't wait to have you back next time you're in town! "Clean, comfortable and very enjoyable with great breakfast." The staff is amazing. From the moment you arrive, they make you feel like your family. The free morning breakfast changes daily and is really quite good - kitchen staff are available and amazing. The rooms are clean, beds very comfortable, climate control works well, and bathrooms are large and up to date. Restaurant on property is pretty good (I am a bit of a food snob). There is an indoor pool and game area for kids. I definitely recommend Best Western Plus. "...they make you feel like your family" is one of the best compliments you could give us. Thank You! Our team works very hard to do just that. I'm glad you enjoyed our hotel and restaurant. We look forward to your next visit! Clean large rooms. Friendly staff. Continental breakfast. Pool and weight room. Good restaurant attached (The Green Mill). Happy with this experience. Hot water, clean bathrooms, big comfortable bed. Lots of parking, close to many attractions. Sounds like you found everything you needed and more. So glad we were able to make your stay great! Thank you for the great review! Great Staff and nice Restaurant that is centrally located for easy travel in the area. Enjoyed my Stay and will return. Quiet Rooms and Easy work out area. Golf and Shopping Close. Will return the next time in area. We are so pleased you found our hotel so comfortable and convenient. Thank you for sharing your feedback. We hope to see you again soon! All the employees (front desk, housekeeping, breakfast server) were polite and engaged in kind conversation with our kids. The breakfast had a variety of foods and all the food offered was fresh and tasty. The pool area was well maintained and kept at an appropriate temperature for small children. I'm so glad to hear that your family enjoyed their time with us. Thank you for the great compliments to our team and our hotel. We really do love families! We loved the modern decor of this hotel Very clean- Pool temperature was heavenly and the hot tub temperature perfect as well. Everything seemed clean and in perfect working condition. We live in the area and wanted to treat our daughter to a fun night at a hotel. We will definitely recommend this hotel to out of town visitors. We are so glad you chose us for your family fun night. Sounds like you enjoyed many of the best things our location has to offer. Thanks for the great recommendation! We hope you come back the next time you need an escape. I was here for a work trip and very tired when I arrived. I checked in quick and was in my room in no time. I had a very quiet, restful sleep and the room was very nice. It was warm and comfeuy.Also, to note, I was on the freeway side and never heard traffic. It's great to hear that our staff and hotel met your needs so well. Thank you for taking time to share your experience! Well maintained and clean hotel. Professional and courteous staff. Good amenities. Good restaurant on site with other local food options. Super Target nearby if you need something from the store. Good value. I would stay here again. Our team is so happy to hear that you enjoyed your experience with us. Thanks for taking the time to comment on your stay. We can't wait to have you back again! I have stated this property over the past couple of years at least 10 times. The passed few after the renovation to a BW have been even better. Great breakfast, lounge and restaurant with great patio and fireplace makes for a relaxing end of the day. Thank you for a great review! Sounds like you enjoyed everything you tried during your stay. I hope you continue to visit us whenever you find yourself in the Shoreview area! Clean hotel, very friendly. We went to our room and then asked if we could change to a different location that had an outdoor patio. They switched us with no charge. Very nice staff. The only bad experience was with the restaurant attached to hotel "Green Mill" was horrible! Wish we would have walked across parking lot to Red Robin. Thank you so much for the great review! I am so glad that our team was able to make your stay comfortable and memorable. I'm sorry to hear that your experience in the Green Mill was not as satisfying. I will be sure to share your feedback with their management staff, so they can use it to improve their guest experience. We hope you consider us again next time you are in the Shoreview area. Great hotel, friendly staff, clean room. We will definitely stay here again if we are in the area; No complaints. The breakfast was pretty good for a continental breakfast. We enjoyed the pool area which included an arcade. So glad you enjoyed our hotel! Thanks for taking the time to comment on your experience. We cannot wait to have you back again. Great location for my business. Hotel is right off interstate and no noise in the room. The staff was wonderful, can not say enough. I travel up to the cities once or twice a month and this is my hotel of choice. It is such a pleasure to hear how much you love our staff and location. Thank you for taking the time to comment on your experience with us. We can't wait to see you again next month! Hotel was very clean, newly remodeled and comfortable. Good breakfasts: omelets/scrambled eggs with toppings, sausage, waffles, hot oatmeal (not packets) with toppings, breakfast potatoes, pastries, bagels, etc. Only complaint is the walls are a little thin. Good parking. Connected to Green Mill restaurant. Friendly staff. We are so glad to hear that you enjoyed your stay with us, especially our breakfast buffet. We try to make sure we have something for everyone at breakfast. I'm sorry to hear that you may have had to deal with some noise issues. Thanks for sharing your experience. We hope you consider our location next time you are in the area! We are so glad you chose our location during your Christmas visit with family. Our staff and management are thrilled that you enjoyed your stay. Thank you for taking the time to share your experience. "A very good place to stay!" We traveled to the Minneapolis area to visit my niece and another friend. The staff was very welcoming when we arrived and accommodated our room request. Room was clean, the bathroom could have used a bit more attention. Complimentary breakfast offered a variety of items. Having the restaurant and bar on the premises was great. We took advantage of both over our 2 night stay. My friend forget an item at the hotel which is being mailed to her. We'd come and stay again. We are so glad you had an opportunity to check out all that our hotel had to offer and enjoyed it. The Green Mill Restaurant and Lounge are a especially great during the colder months when you don't want to go out and find dinner! Thanks for taking the time to comment on your experience. We hope to see you and your friend here again soon. Thank you so much for the great review. We are pleased to hear that you enjoy your time at our hotel and are thrilled that you have chosen us as your "go to" place whenever you are in the area. "Sounds like a broken airplane"
We love the hotel. Staff is great, breakfast is great, it's clean... However, none of us sleep in this hotel.. Ever.... The only reason we keep coming back is because everything else is so great. The air conditioners in the rooms are just ridiculous... They kick in extremely loud, I mean loud, it sounds like an airplane in need of repair.. They rattle and then abruptly shut off.. this occurs every 5 minutes or so... Startling each of us every time. They really need to repair them.. I'm sorry to hear that your group had such a hard time with the HVAC units in your rooms. We are always working on updating and replacing these units. I will be sure to address this issue with my maintenance staff, so we can improve upon this issue. I hope you give us another try in the future. 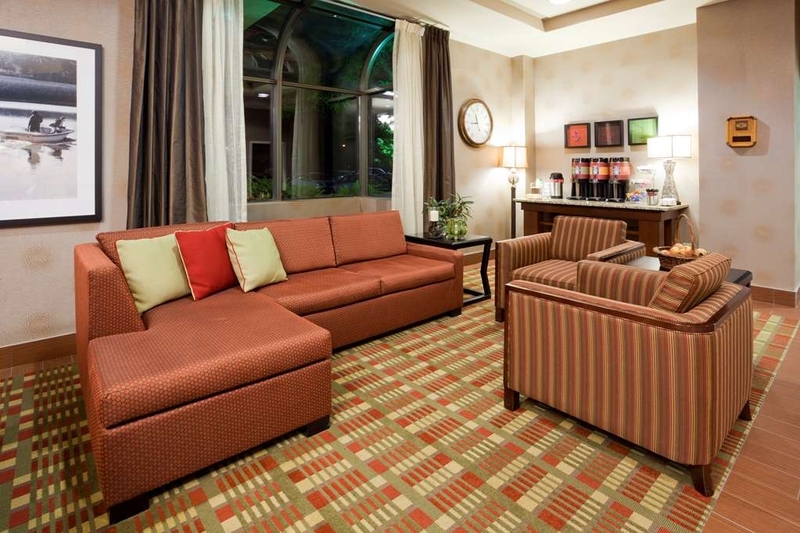 It is our number one goal to provide a comfortable enjoyable stay. Please do not hesitate to contact us if we can do something to improve your experience. Thank you for taking the time to submit your review. Working for a company that spends weeks sometimes months in a hotel, Best Western plus shoreview is by far the best hotel I have been a guest at. The staff is friendly, professional and make you feel welcomed. The hotel is exceptionally clean. Free breakfast is a plus. 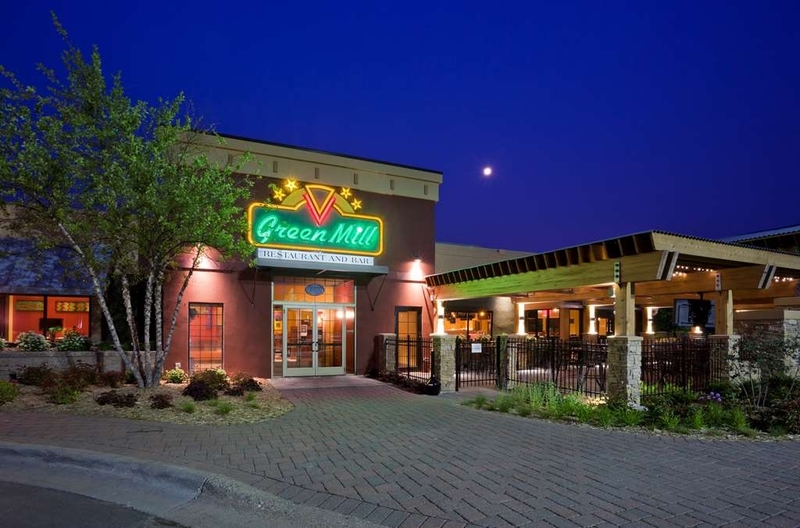 The green mill restaurant attached is the best food I found in the forty something days I've been in Minnesota. It may not be a five star hotel but the treatment and experience is five star. Thank you Tammy, Alex, Alyssa, Sam and Ashley for the hospitality you showed myself and my co-workers. I consider you friends now and if I'm in the area again Best Western plus in shoreview will certainly be my hotel of choice. Thank you so much for your kind words. It was a pleasure to have you and the rest of your group stay with us. I hope you remember your Minnesota "home away from home" and come back to see us in the future! No complaints here. Great hotel with fresh updates, very clean rooms, friendly and helpful staff. Breakfast was what you'd expect, but it was hot and always plenty of coffee. Great location for anything on the north side of the cities. Would definitely stay here again of work beings me back to the area and would recommend. Thank you for the great review! We are thrilled you enjoyed our newly remodled hotel and our great staff. We hope to see you again soon! "Well kept and great breakfast"
We stayed here with my daughter's soccer team as she was playing in the fall cup. A really clean, well kept hotel. An extra nice touch was the small coffee bar in the lobby available 24/7, and a bowl of apples and lemonade. The breakfast is really good - my only comment is that on one morning, all the hot options had meat in them (not so great for vegetarians). But lots of other choices such as oatmeal, waffles, yogurt, cereal, donuts, toast etc. Unfortunately, the dryer was broken while we were there, and I really could have used some clean clothes. Both the Friday and Sat night, the hotel hosted wedding receptions (I get the impression if you stay the weekend this is to be expected). Our room was right above one of the entrances resulting in wedding guests going out there to smoke and being quite loud and obnoxious. Finally at 2am, my husband had to go to the lobby to complain. All in all, a great hotel with a good breakfast and pool. I would stay here again. It sounds like you found many things to love about our hotel. I'm sorry some of our guests created additional noise that disturbed you. This is not a common occurrence, but it does happen sometimes. Thank you for taking the time to share your experience. We will use your suggestions to continue to improve. Can't wait to see you again next time you return to the area. Thank you for your kind words. Our staff works very hard to deliver a great experience to all of our guests. I'm so glad we were able to make your stay a success! I had a very nice, court-yard side room. Very clean room with a nice 42" flatscreen TV. Staff were very friendly and helpful. Breakfast was very nice - oatmeal and waffles with different toppings to add. Omelet and sausage patties, too. I was nice to have coffee flavorings as well. I'm glad to hear you enjoyed your breakfast and accommodations with us during your stay. The courtyard is my favorite area of the hotel, too! Thanks for sharing your experience. We can't wait to have you back! We were greeted by courteous staff and checked into a well-cleand/stocked room for a great stay! Amazing breakfast with excellent selection and multiple protein options. Road construction necessitates driving around a block to get to the driveway, not a big deal. So glad you were able to enjoy our stay here in spite of the road construction. Fortunately that project is wrapping up and things are looking pretty good out there. Thanks for taking the time to comment on your experience! We look forward to your next visit! When looking at the photos online, it appeared rather unassuming, however, when we arrived, we found the room larger than average with a very comfortable and homely atmosphere. The pictures do not do justice to this lovely establishment. The breakfast was above average for a complimentary breakfast with many options to choose from. This hotel understands client satisfaction and achieves their goals by exceeding my expectations. I will be back. Thank you! We work very hard to exceed our guest expectations and are thrilled to have become your hotel of choice. We can't wait to see you again next time! I would stay here again, in fact, if I am in the area, I wouldn't even consider another hotel. Every single place I went I felt special. Even the Lounge was comfortable at closing time, and the server went out of her way to make me feel welcome. The pool area was clean and comfortable, and the Breakfast was very well done. I would stay here again. It is a well-run property. Thank you for the amazing review. We are thrilled to be you "go to" place while you are in the area. Can't wait to see you again next time! The company made our arrangements for our stay. The room was clean and the bed was comfortable. Breakfast was the usual. The staff was very friendly and they had fresh baked cookies. Yea!! I also like that they had hot water for my tea. Double Yea!! Even my favorite tea. Would I stay here again: Yes Maybe next time I'll see the bar. I'm so glad the staff and amenities made your stay such a success. It really is the friendly faces and the little details that make the difference when you are working away from home. I hope you do get a chance to check out the Green Mill Restaurant and Lounge next time you visit. The food and beverages are tasty and the service is top notch. Thanks for taking the time to share your experience! "Best western usually our first choice"
Bottom line, quiet, clean and safe. We liked the room location on first floor. We were traveling with a locked, enclosed trailer and were looking for a location near the twin cities that was lighted and safe for the vehicle and trailer. No problems! Thanks for a great review! I'm so glad to hear that your stay was such a success. We hope you choose us on your next visit to the area. Visiting friends in nearby Lino Lakes, we found this property convenient to the MSP airport (about 25 minutes drive) and our friends' home (about 12 minute drive). Very friendly front desk staff, we found our room to be very clean and comfortable with complimentary wi-fi, a king bed, flat-screen TV and a refrigerator. Excellent complimentary breakfast featuring waffles, omelets, lots of bread and pastry choices, fruit, cold cereal, great coffee, etc. Did not use the adjacent bar/restaurant so cannot review it. Used their small, but functional, workout room which has treadmills, ellipticals, free weights and an upper body plate machine. Spotlessly clean indoor pool. Entire experience felt very "family-friendly". We are thrilled to hear how much you enjoyed your stay with us. It sounds like our location met all your needs. Thanks for the great review. We look forward to seeing you next time you visit the area. "Comfortable Bed" and clean room plus a Green Mill Restaurant that was connected to the Hotel. A great place to stay!! It was a good location for us and we had a fun time. Would highly recommend this place and will stay there again when we are in the area. We are pleased to hear that you enjoyed your stay with us. It sounds like you found everything you were looking for. Thank you for the glowing recommendation! I have been staying at this hotel for years, and even thought the name changed to a Best Western Plus, don't be scared off! It has been 100% remodeled in the past 18 months. New elevators (even added 1 for convenience) remodeled rooms, hallways lobby, breakfast area (one of the nicest of any hotels) and the Green Mill was totally demolished and redesigned and remodeled. Great long term employees in both places (hotel and Restaurant) and they will do anything for you. Highly recommend. Thank you for such an amazing recommendation! We're so glad to hear how much you enjoyed our staff and newly renovated hotel and restaurant. We are very proud of the updates that have been done, as well. The long-term employees (as well as the new ones) will love to hear your high praise. Can't wait to have you back on your next trip! The staff at this hotel are professional and very friendly and helpful. We would rate the room and the breakfast as excellent. We did not use the other amenities such as pool, exercise room, etc. but presume them to be just as good. The only drawback, which is not the hotels fault, was there was a lot of road construction in the area that made it more challenging to get to the hotel. So glad your stay with us was such a success. Yes, the construction is pretty tricky right now. The construction season is well over halfway now, so we are optimistic that that challenge should be wrapping up soon. Thank you so much for taking the time to comment on your experience! I hope you can come back soon to enjoy the many other amenities you missed on your recent visit. We travel to the Twin Cities a couple times a year and we always stay at this location. 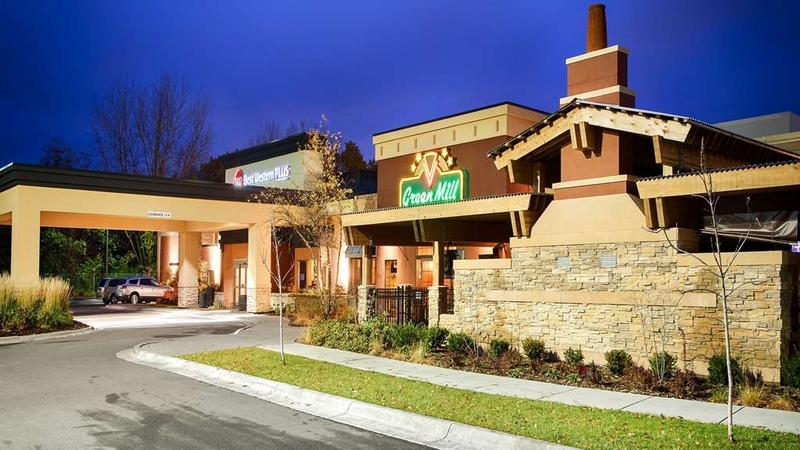 For us, it is centrally located and we enjoy having the Green Mill Restaurant attached to the facility. This was our first stay here since its acquisition by Best Western and the renovations made quite a difference. However, the increase in rates, at least for us, was significant from when this was a Hampton Inn. That being said, I would still recommend this location. I'm glad you enjoyed your time at our property. Summer is wrapping up quickly and I'm sure you will find the rates to be more flexible as we go into the fall and winter months. Thank you for a great recommendation. We can't wait to see you next time you are in town! "A Great Hotel for Business Travelers"
The remodel was very well done. This hotel use to be a Hampton Inn but in converting over to BW, they updated the entire hotel and restaurant. The craftsmanship on paint, tiling, etc was done with care. The new TV's and clock radios are really nice. Really like the easy clean remote for tv! 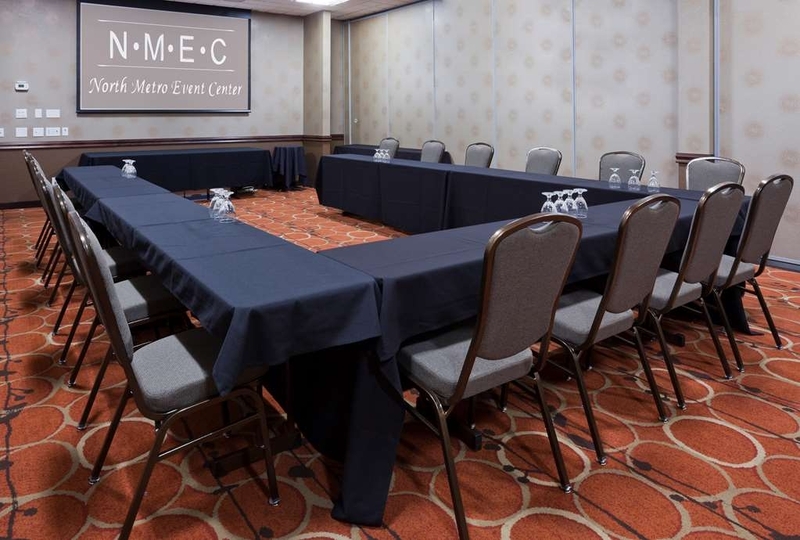 The new conference and reception room were perfect for our meetings (appreciate the reception room has been separated from the pool. Breakfast had plenty of options and is always a solid start to my day. I like the bigger and insulated coffee cups too! Landscaping around the hotel was nice and maintained. All around, a great experience. The company that runs this hotel really knows what they are doing. Thank you very much for such a wonderful review. We are very proud of the new updates that were made in the last year. We're so pleased that you like them to. I hope you consider us the next time you return to the area. "Old Hampton Inn now a Best Western Plus"
My husband and I have stayed at this hotel frequently over the last 4-5 years. It used to be a Hampton Inn. The hotel has the same layout and the rooms are also the same. My husband even noticed some of the staff stayed at this location, even with the company changing. I am going to say, very high quality for a Best Western and we will be back at this location again. We had been a little apprehensive to stay here, but are glad we did! We are very glad you stayed with us, as well. Only the name has changed at our location. We still have the same great staff and ownership and I'm glad we could make such a great impression. We know you have many choices when you come to visit the Twin Cities area. Thanks for choosing us! We travelled with our daughter's family to Minnesota recently. We stayed at three different hotels and the Best Western Plus was our favorite. The hotel feels brand new. Nice spaces and really clean rooms. The grandkids enjoyed the pool while we all enjoyed the breakfast. I've never met a nicer hotel staff!! Next time in the Cities this is where we will stay! Perfect location with lots of places to eat nearby and just minutes to the entire metro area. We are so glad to hear we have become a new favorite with your family. 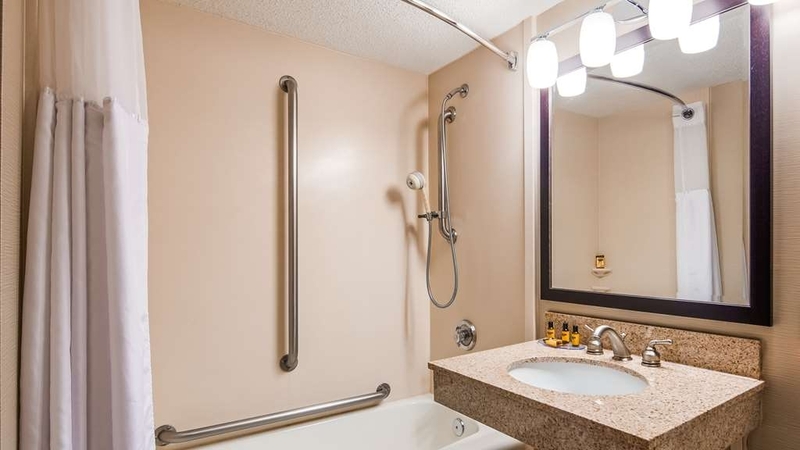 Our recent renovations in 2015 and conversion to Best Western really have made our hotel "brand new". However, we have kept the best part of the old hotel...our staff. I'm glad that we were able to make your family event a special one. Thanks for making us your "favorite"! I don't have any photos, but the room that we purchased was very spacious and so beautiful! I was so satisfied! When we first walked in the workers were go nice as well! It was just a very clean place. The swimming pool area really caught my eyes too and the breakfast was very good! Thank you for your business! Very happy with everything! So glad you enjoyed everything about your stay. Thank you for your review and your business!! Be aware of present construction near hotel. Also, ask for room around courtyard which looked nicer. Pool was clean and hot tub was nice. Front desk help was friendly and helpful. Breakfast wasn't too bad (but first day staff on duty wasn't too friendly). Yes, construction has made it a challenge to get around our area. Hang in there! This should be wrapping up soon. I'm sorry you had a less than welcoming experience on your first morning at breakfast. We will be sure to use your input to improve in that area. I'm glad the rest of the stay was enjoyable. Thanks for taking the time to share your experience! Best clean room I've stayed in lately. Actually the bathroom was the cleanest I've had in years. No mildew in the shower. I called the hotel and got a better rate. Parking was great right next to my room. Thank you! Our housekeeping staff will be thrilled to hear you noticed their hard work. Can't wait to see you again next time you're in town. 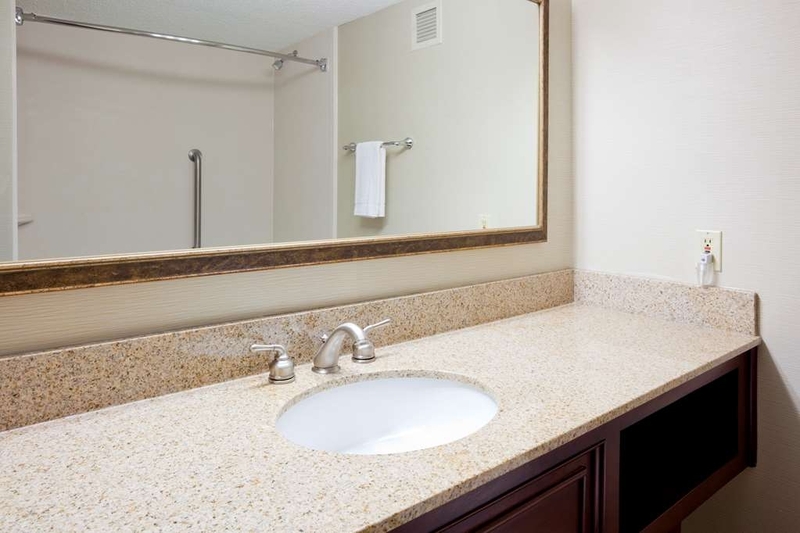 "Gorgeous Hotel With Thoughtful Amenities"
This is a newly upgraded property...and it is thoroughly beautiful. It's located very conveniently off a major intersection and has ample free parking. From the moment you walk into the lobby you see the attention to details...and that is welcoming. Although my check in process seemed to take a much longer time that it should have...it was somewhat understandable as there was just one agent working and the phones were busy. Upon arriving to our room...we were thrilled to see how large and open it was. We had a mini suite which included a separate private sleeping room...with a door. There was a king sized bed along with a flat screen TV and individual A/C unit. In the living area was another flat screen...A/C unit [both A/Cs worked perfectly and ran quietly]...pull out sofa...easy chair/ottoman...desk...mini fridge...microwave. All the comforts of home...very easy to get comfortable. The room was fresh and clean and the pull-out bedding was all labeled and wrapped in the dresser drawers for assembling the bed later. The furnishings were clearly newer and well-maintained. The bathroom was spacious enough. The linens and towels were all good quality and soft and plush. There was a single-cup coffee machine with condiments as well as Bath and Body Works shampoo/conditioner/lotion. There is a Green Mill onsite which we did not use as we went out for dinner. They are open later and do provide room service and happy hour in the bar as well. Just down the block is a Red Robin. If you have a vehicle...just across the bridge is a multitude of restaurants and shops too. Off the lobby is a small business center with three computers and printers for guest use. There appeared to be a decent amount of available meeting spaces available too. The wifi is free and we did not experience any type of lag or slow connection at all. In the middle of the hotel is an open courtyard that offers shaded tables...benches...grassy areas...and even BBQ grills. It's a great area to sit and relax a bit. Another fun aspect of the courtyard: certain rooms have direct access to it via a sliding patio door from their room. This would be a fun option during weather-cooperative months for sure. On the back side of the hotel is another shaded area with a few picnic tables...another nice touch. The pool area is fairly big and has some crane/arcade games for kids of all ages to try. There are several tables and private restrooms. The hot tub looked a bit green and murky...and was extremely full--almost overflowing...so we didn't use that. The pool was refreshing...and I believe it may be saltwater as I smelled no chemicals and no one's skin felt itchy. The fitness center is right off the pool area and is typical hotel standard size. We did not use it but...it looked clean and the machines/equipment all appeared to be in good shape. Breakfast was probably my personal favorite part of the entire stay. It was phenomenal...and of course: free! I mean...muchmuch better than typical complimentary breakfast buffets at similar caliber hotels. The quality and presentation was enough to make my stomach growl. They had the usual breakfast staples: bagels/muffins/toast/cereal: in individual boxes...not from a dispenser/large variety of fresh fruit: including cut strawberries/yogurt bar: nuts-honey-granola/make-your-own-waffles: with many fixings/coffees/juices: including a mango blend-orange-apple/milks/etc. There was also fluffy cheese omelettes and sausage patties that morning. The area was very modern...with more individual seating set ups and some counter spots also. The area was immaculate and the attendant was visible cleaning...taking out trashes...refilling items. The receipt slipped under my door in the morning was incorrect so I had to stop by the desk to have the issue resolved. It appears there was a mix-up at check in. While it did get rectified...it was just a bit of an inconvenience. Other than a few hiccups...this was a lovely stay. 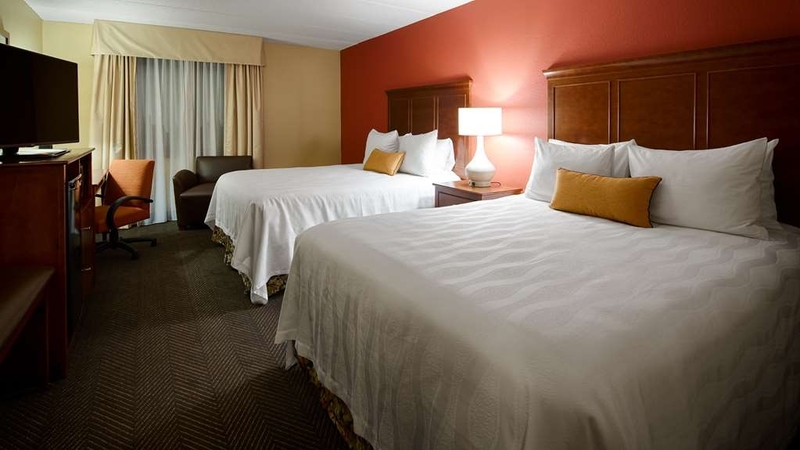 We enjoyed the comfort and quality of the hotel and the extra amenities offered. We'd likely return so we can try a patio room and have more of that delicious breakfast!! The staff was very helpful. The rooms were clean and well maintained. The breakfast was average, not great, but not terrible. I enjoy staying at a Best Western because it is a chain I trust and I love the rewards. I would recommend this hotel. I was pleasantly surprised at the improvements already in place at this property since they took over the existing Hampton Inn. Everything from the outside, interior hallways, sleeping room and bathrooms were very clean. Even the public bathrooms in the hallway were kept at a very high level. The ladies serving the continental breakfast were fun, friendly and they kept the serving areas clean and always had plenty of food available. The beds were extremely comfortable. This property is a great choice for anyone staying in the Northern St. Paul area. "Great Staff and Great FREE Breakfast"
I was a little concerned when I booked the rooms, due to the name but this was one of the best hotels that we have stayed at. Great staff. The FREE breakfast was even better.....fresh waffles, eggs, bacon, fruit, etc! Each year we have stayed at this hotel for Back to the 50's! It has been the Hampton Shoreview, but this year became the Best Western Plus. Last year remodeling and new carpeting were completed, and now we see some more very nice updates. We feel home here, as we stay for four-five days at a time. The staff address us by name and even some of housekeeping! The hotel is very clean and the rooms/beds very comfortable! Just perfect! "stay at Best Western shoreview,mn"
This hotel was previously Hampton Inn; Shoreview, and we have stayed here each year for 4 nights during Back to the 50's. 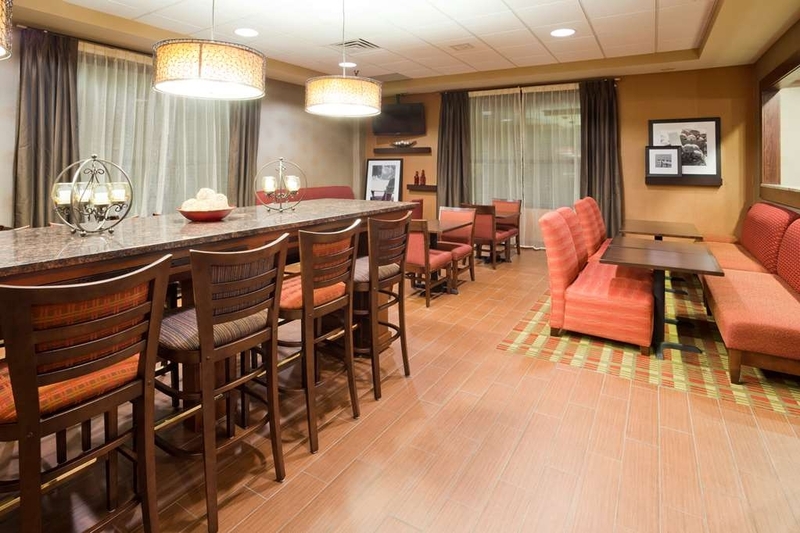 We feel like we are "home" and Best Western has done remodeling to make everything feel new! The staff is wonderful, and the comfort of the rooms and beds could not be better! Truly love this place! Had a great experience last weekend! This motel has the friendliest staff, it's clean & comfortable!!! Breakfast was ready to go when we got up - great variety. Best yet it's connected to the Green Mill!! Love the new Bath & Body Works shampoo, conditioner & lotion! The best!?? The hotel was very quiet even through there were many children there for a tournament. Staff was friendly. Beds were comfortable. Hotel was nicely decorated and new looking. There was ample parking and there is a court yard with a couple of tables to sit at that was very nice. Only complaints were the breakfast kitchen area was small and cramped and the elevator was slow. We did not use the pool area and the breakfast buffet was average with no meat on the breakfast buffet. There is a Green Mill attached tothe lobby and they offer no charge for room delivery. We were pleasantly surprised at the quality of the service and accommodations for this hotel. Everything was great! Very friendly staff, and big bonus having a restaurant/bar attached to the hotel. You might have a challenge getting there with all the road construction - both freeway and main road - but worth the trip! "Clean, comfortable, good amenities, updated"
Always enjoy staying at this hotel when it was a Hampton Inn and now as a Best Western Plus. This is the place we stay when we're in Minnesota. Breakfasts offered are tasty with a diverse selection. Pool and fitness room are clean and well maintained. Room updated, comfortable, clean and user friendly. "Best experience in a long time!" This hotel was perfect in many ways! It truly was the best experience I've had at a hotel in years. I'm assuming new owners are running it since it changed from the Hampton to the Best Western. The remodeling is BEAUTIFUL! I was impressed the first minute I walked in to the lobby area and the friendliness of the desk employee. Coffee and infused water awaited us. I love that they served infused water - each day brought a different combination of fruit and herbs. The rooms were beautifully decorated as well. The staff - the front desk, cleaning people, and the woman manning the breakfast nook - all seemed to enjoy their work and were friendly and helpful. This will be my home away from home every time I'm in the St. Paul area. The room was clean and the beds were comfy. The pool was perfect temperature was large clean and not cold. The breakfast was had a lot of nice choices. The tables were all dirty when we arrived. I could locate a staff member to clean them off. We slept well. This hotel is very nice and the employees were all great. The Green Mill restaurant is connected to the hotel and has excellent food. The receptionist helped get my friends room right across the hall from mine. This hotel supplied all our needs for family and friends at our daughter's wedding. I received many good comments about the staff and services provided. Many little extras provided: coffee & tea provided in lobby, free use of breakfast area and courtyard for family gathering, and handling many questions!! We liked that there was a restaurant/bar on site as well as a complimentary breakfast. A great stay! Love the room service with the Green Mill restaurant next door & the ability to room charge when dining in. Nice amenities. Fruit and snacks available in Front Lobby. Next time I will bring my swim suit. Shuttle service was excellent! Great breakfast & beautiful eating area too.